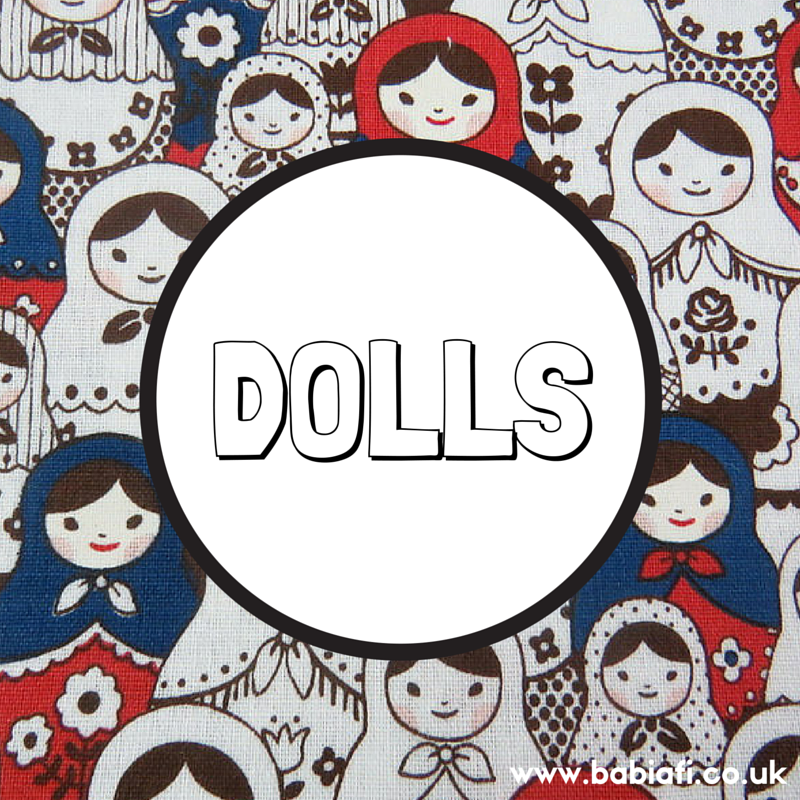 This line totally passed me by - but I wish it hadn't because the dolls are adorable! 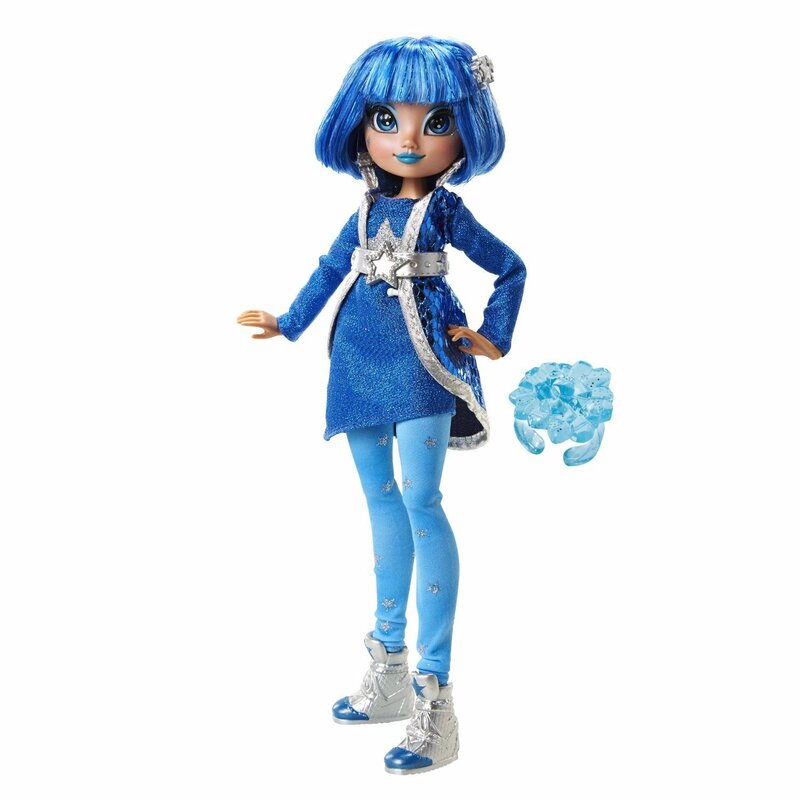 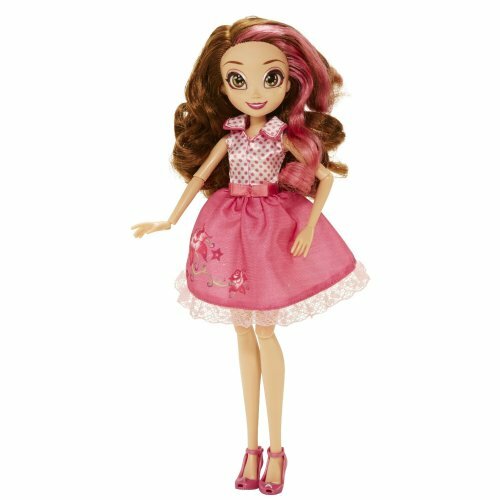 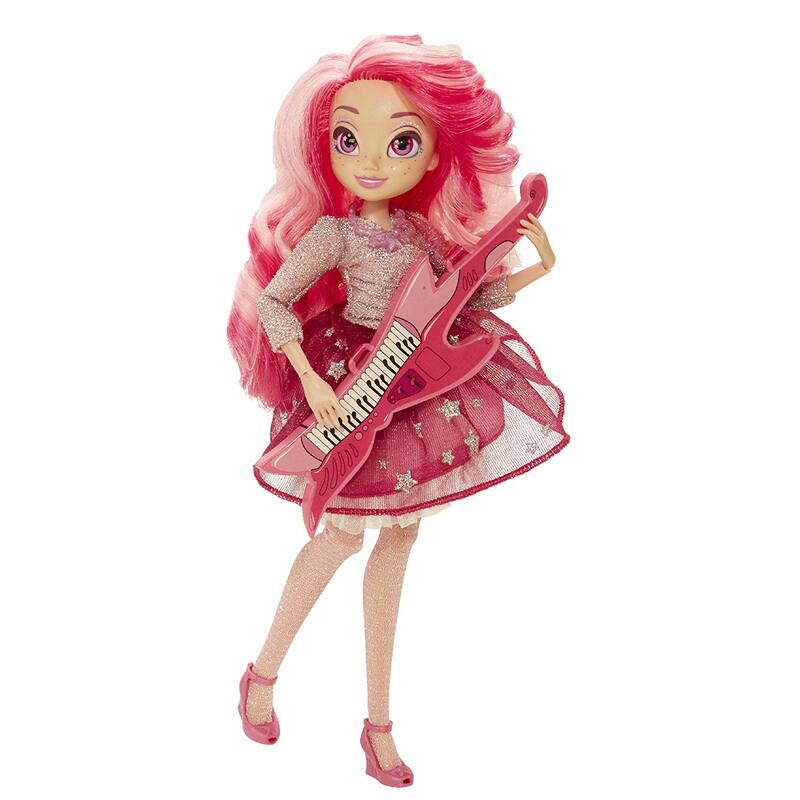 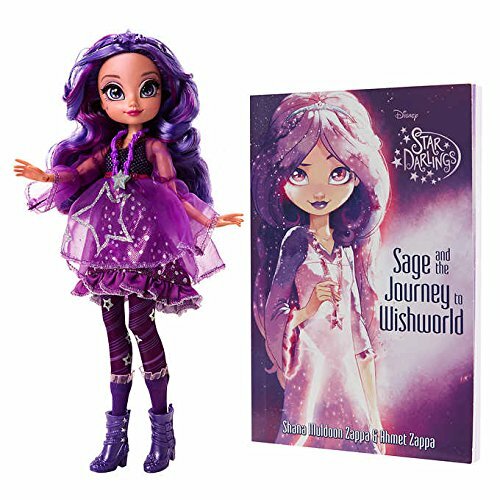 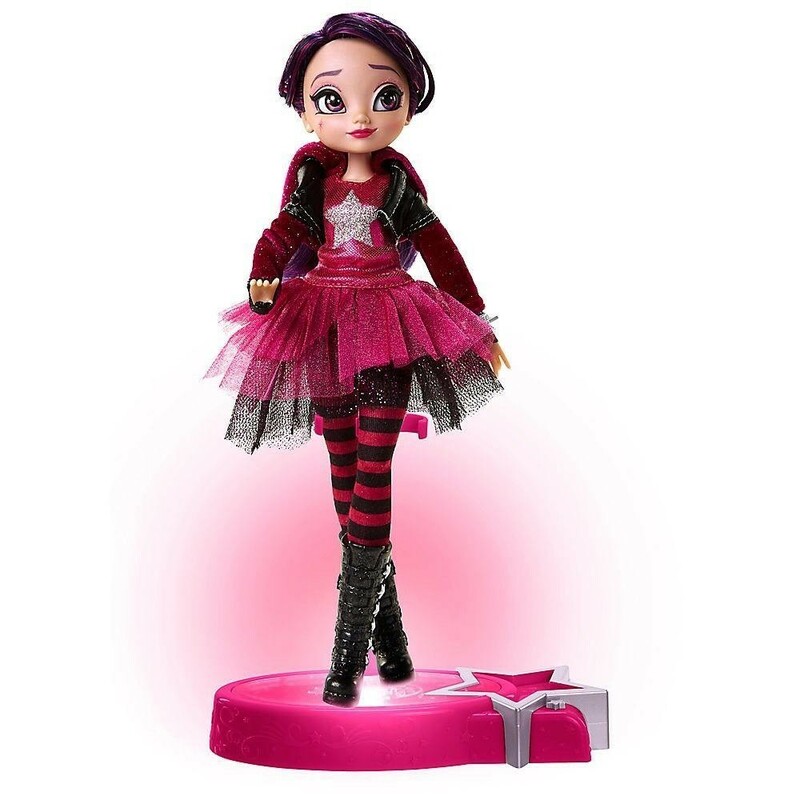 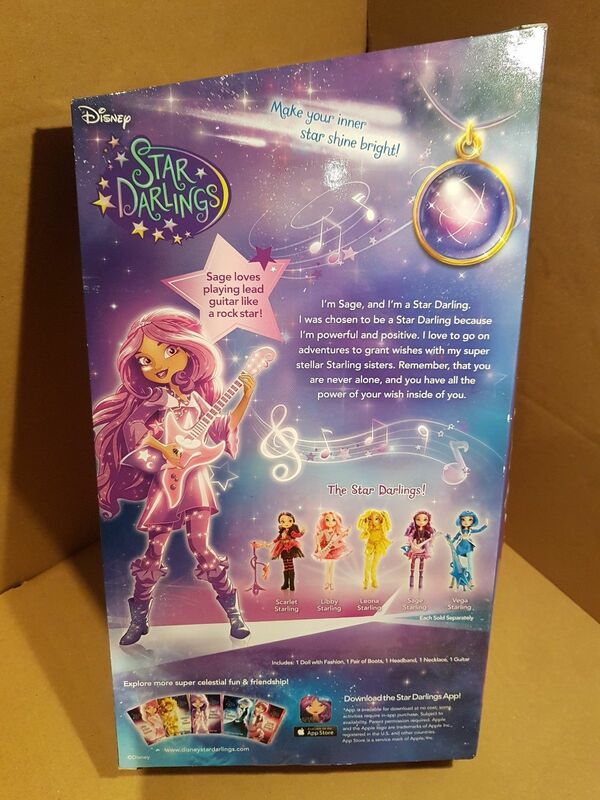 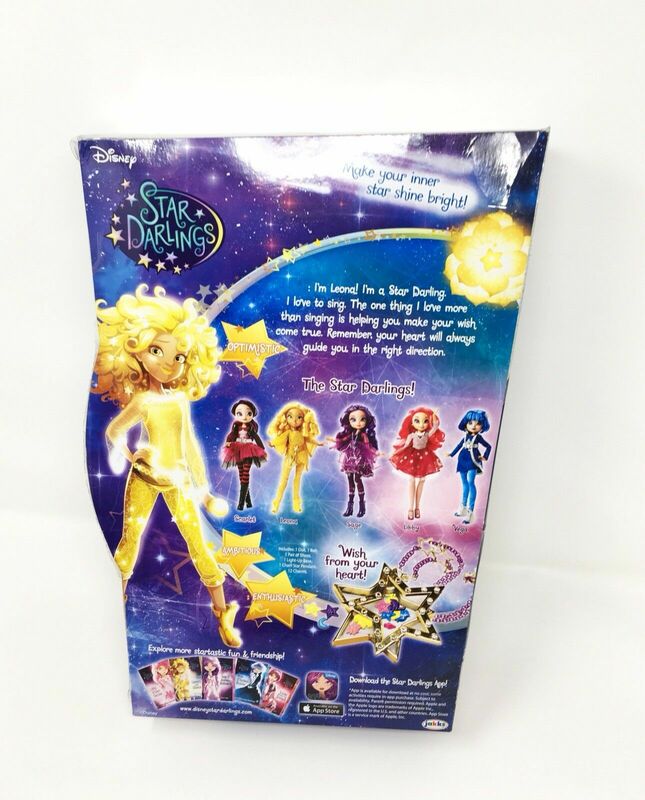 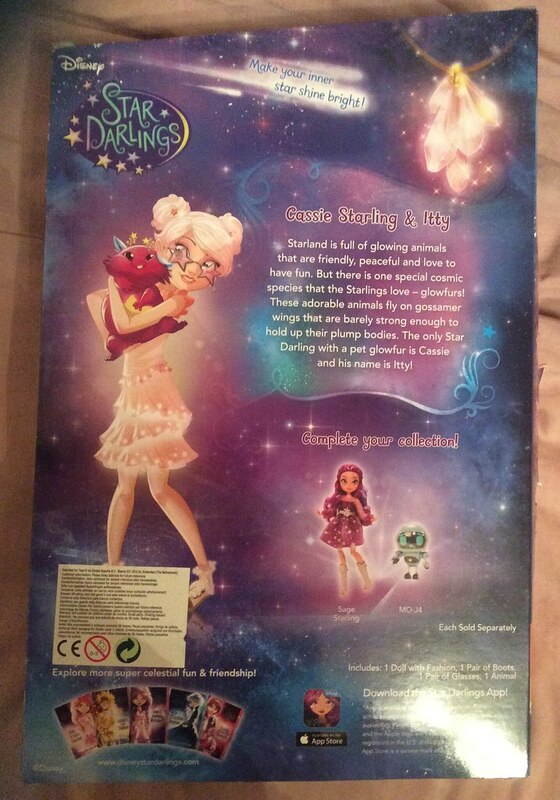 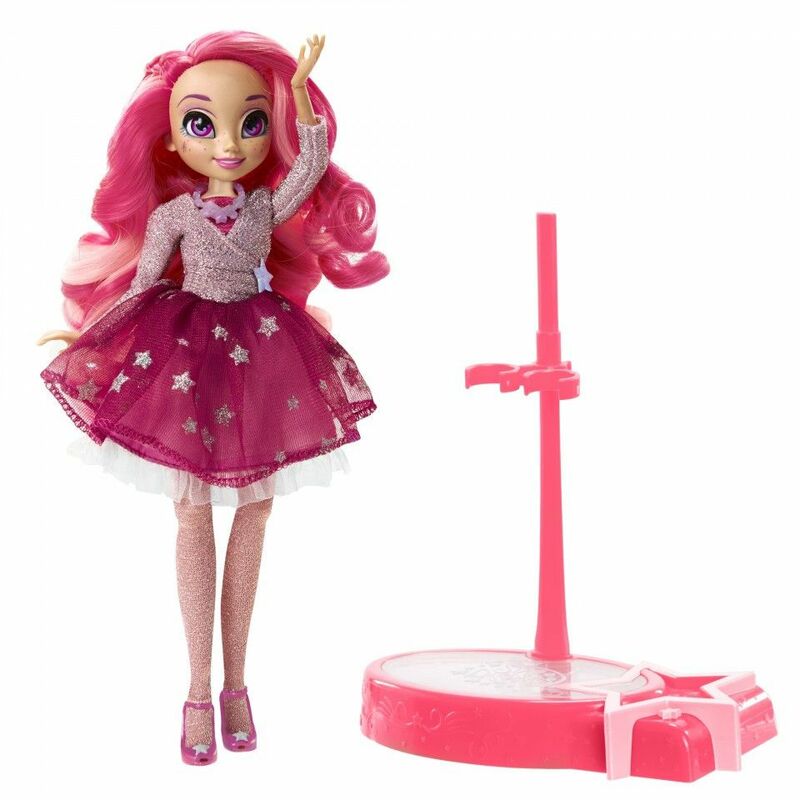 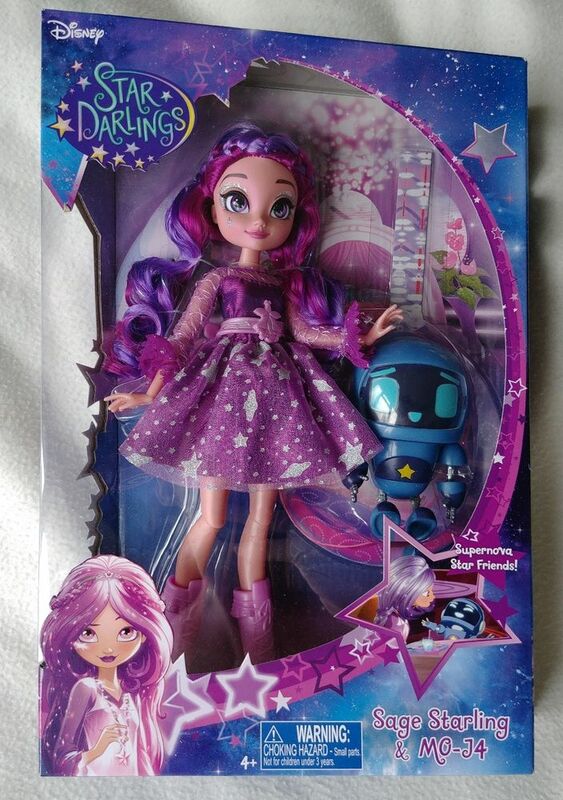 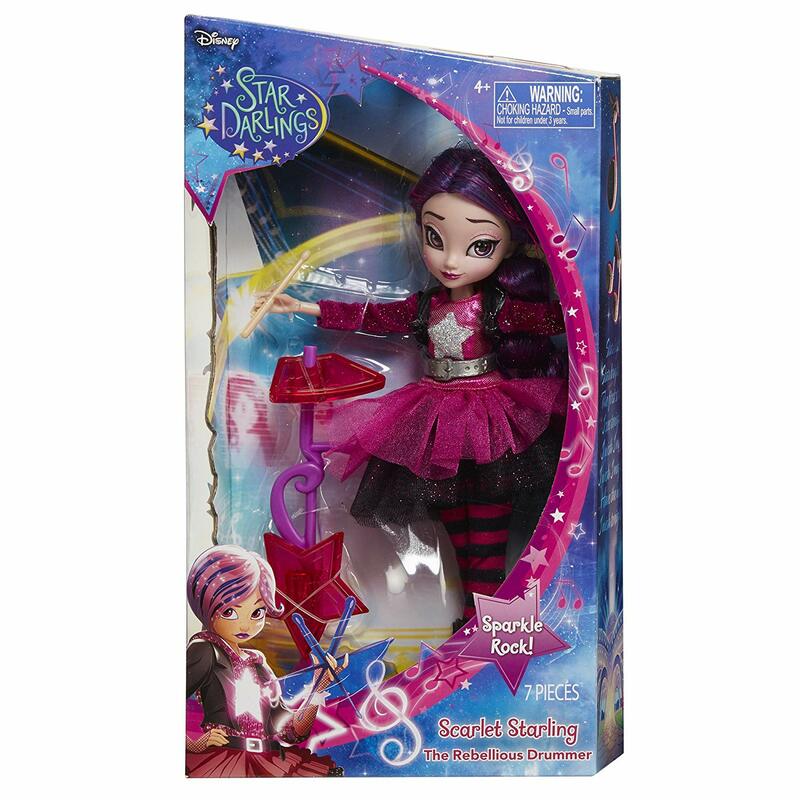 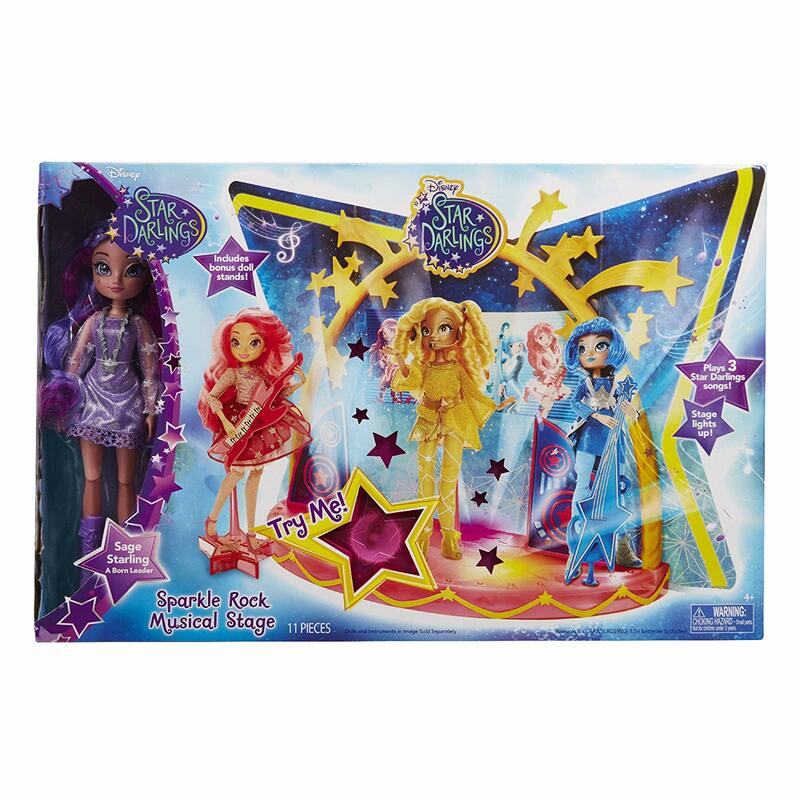 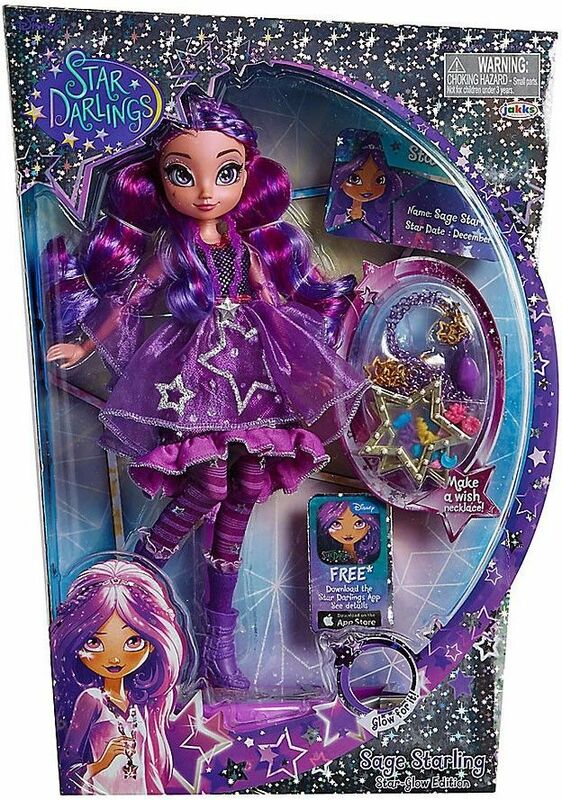 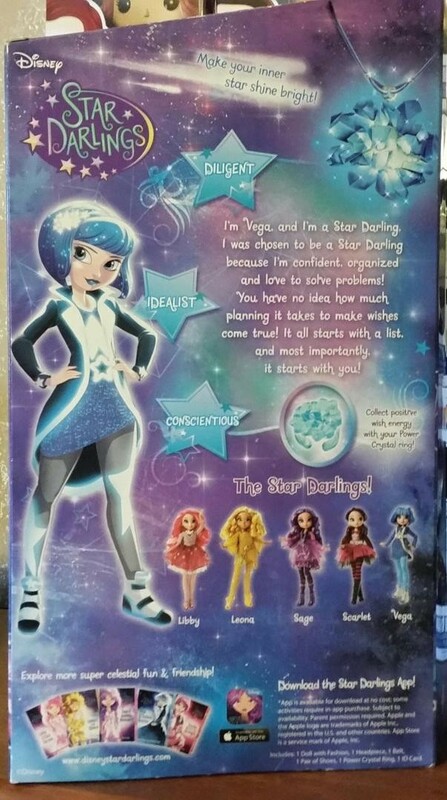 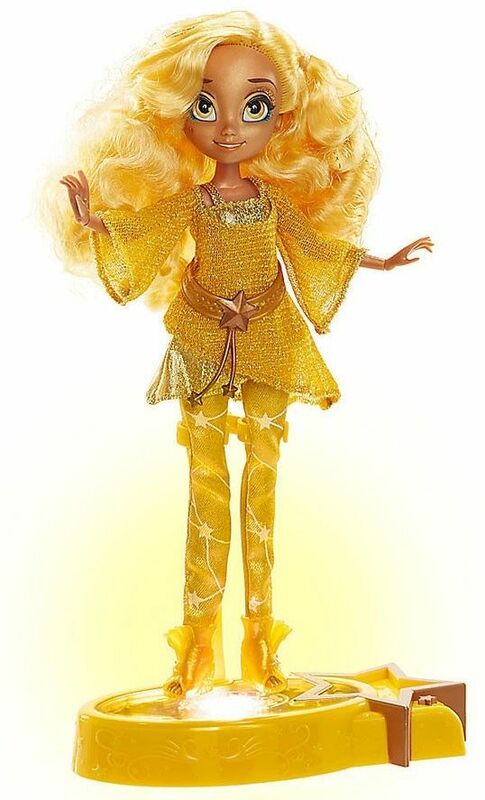 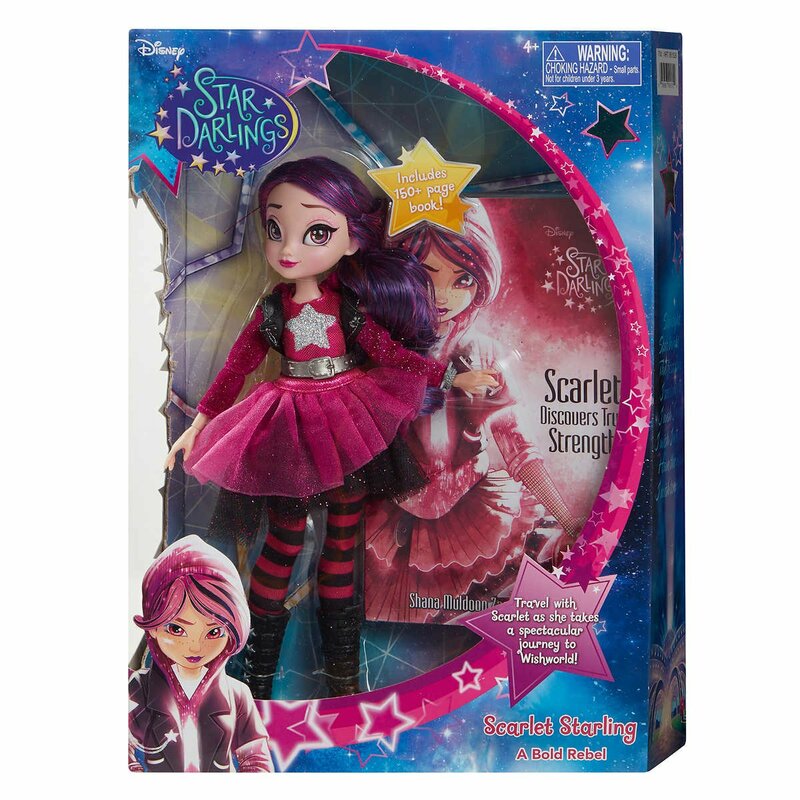 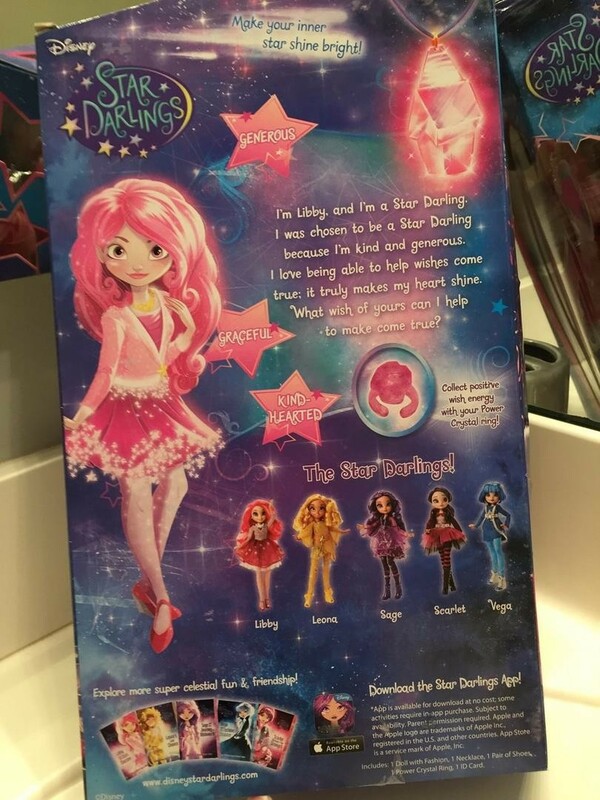 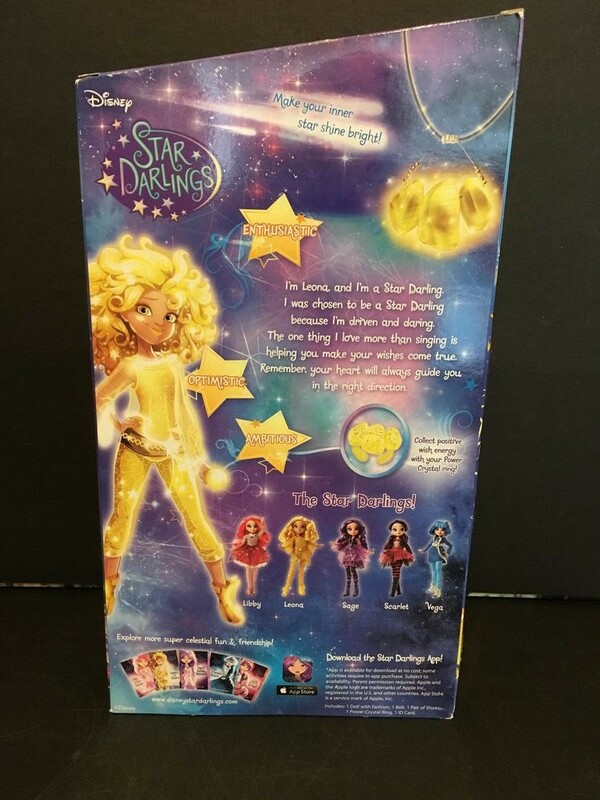 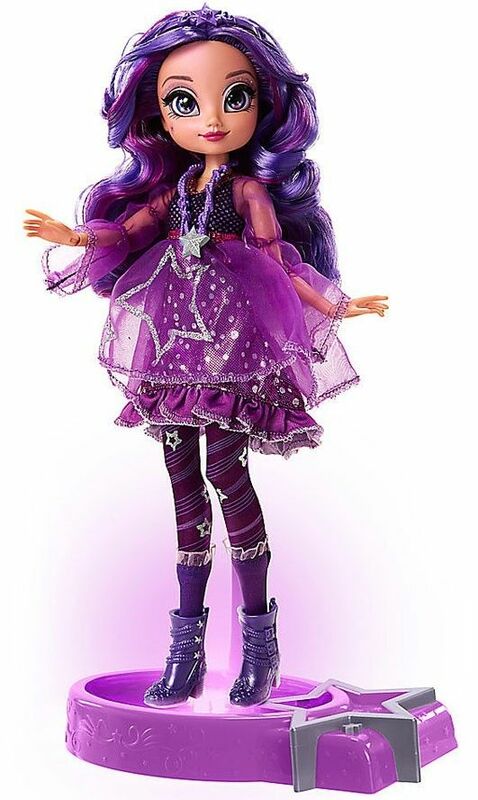 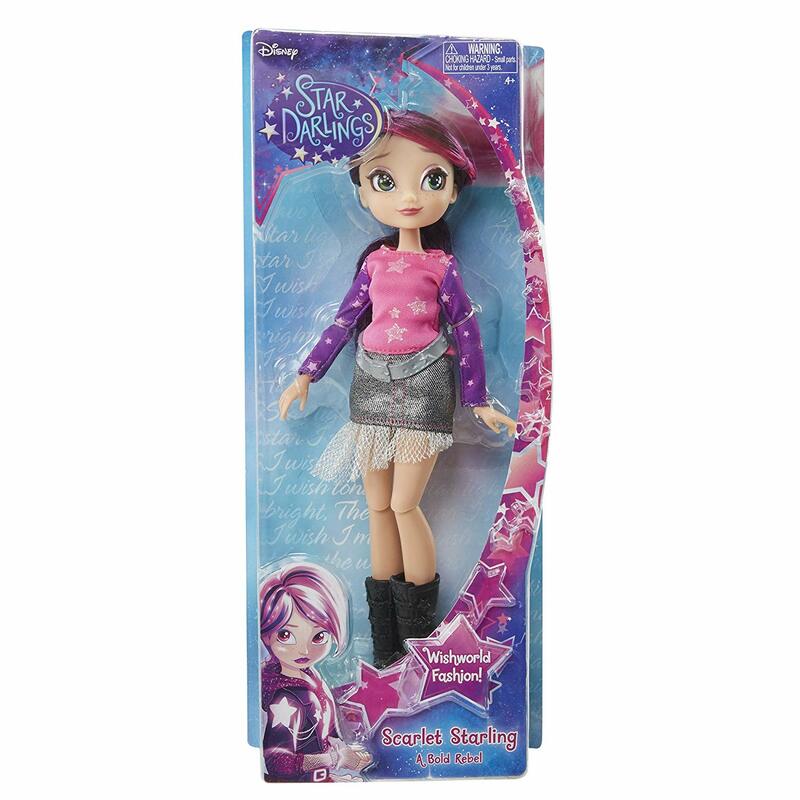 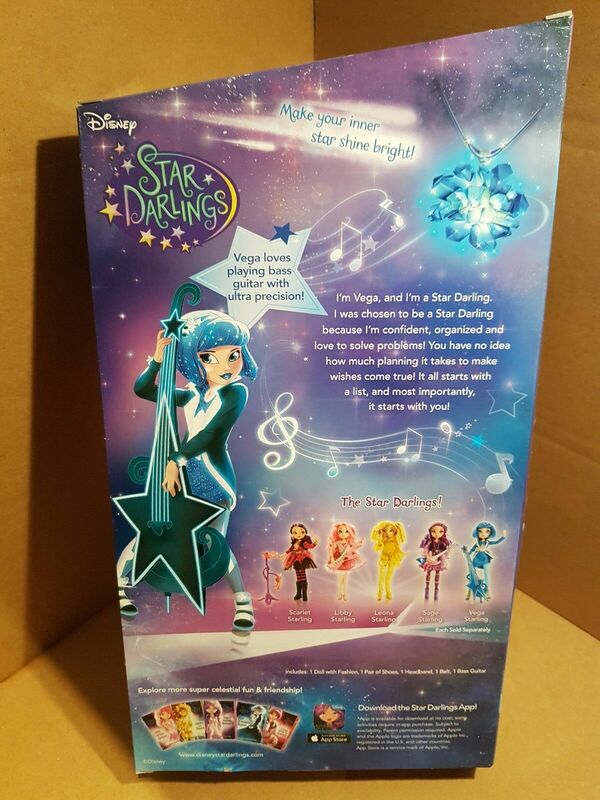 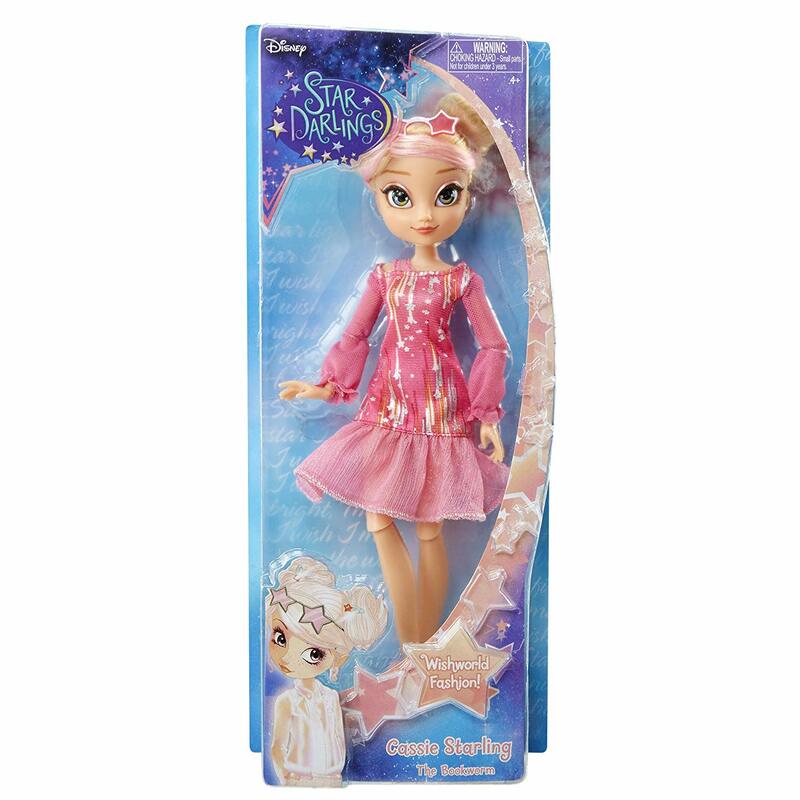 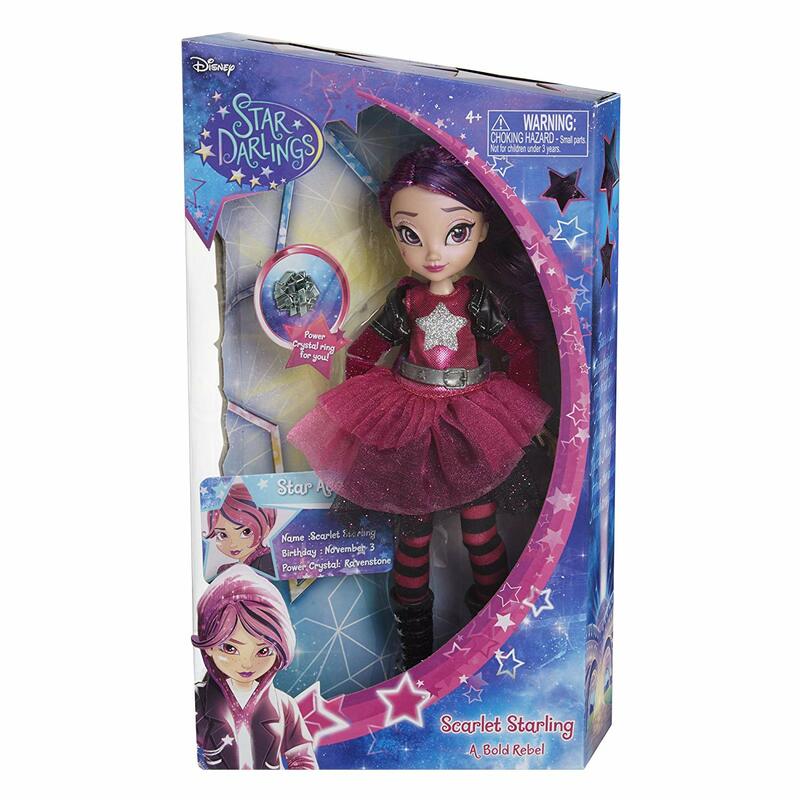 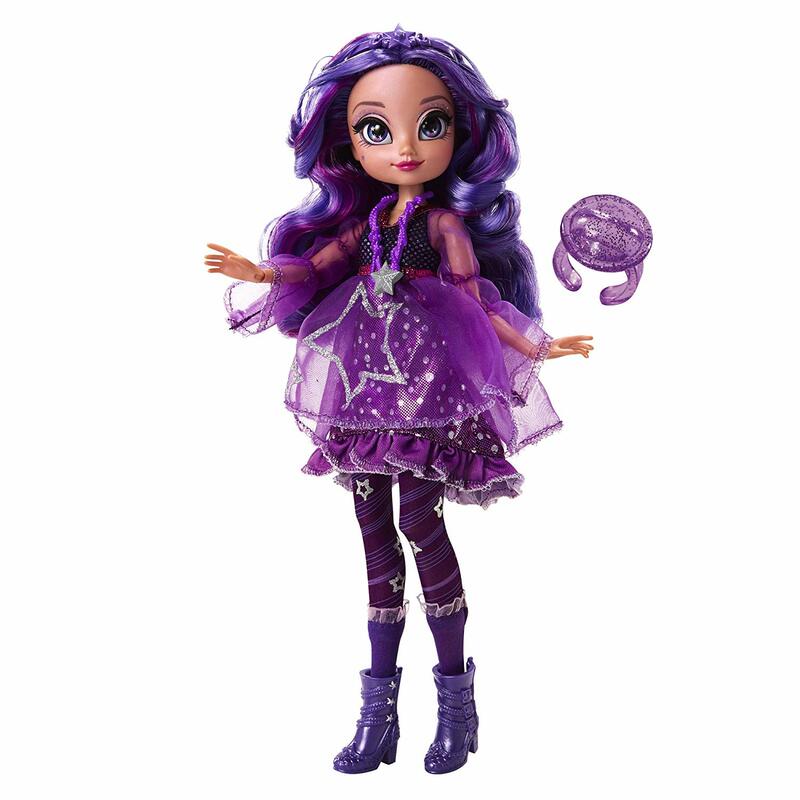 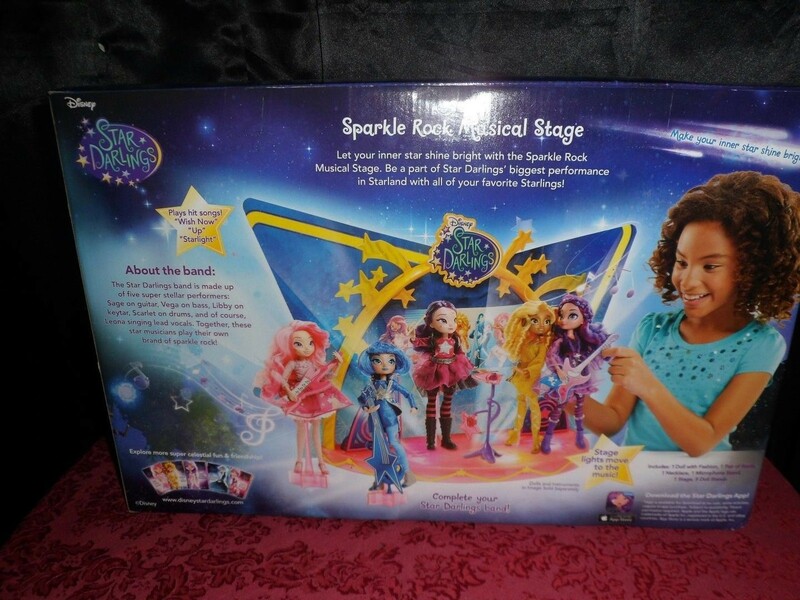 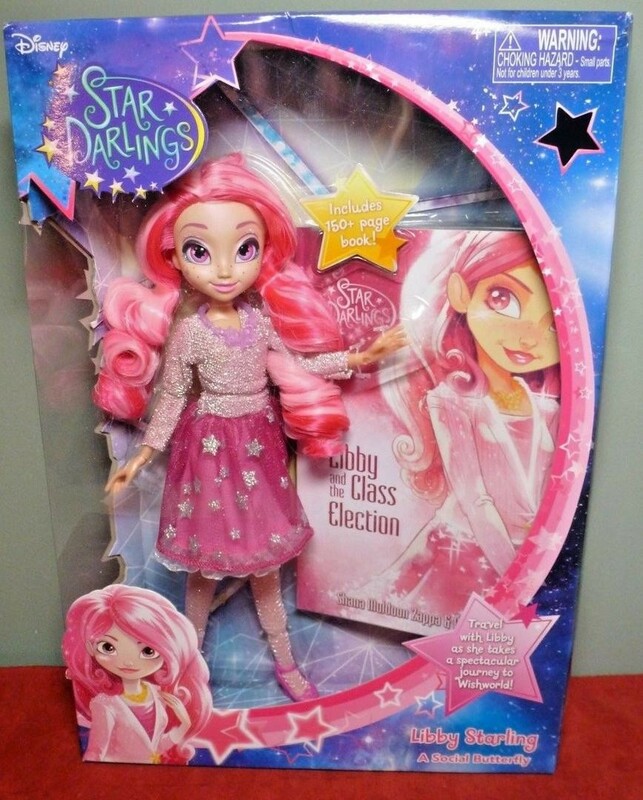 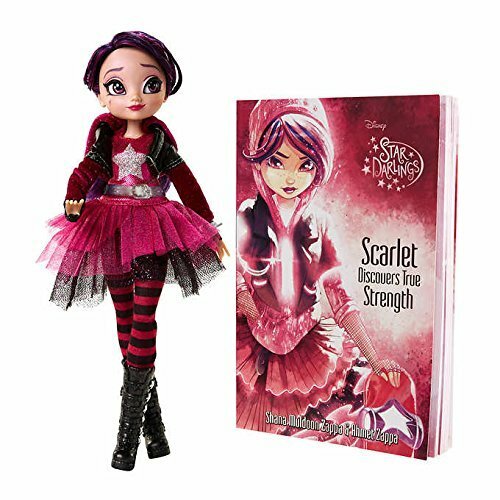 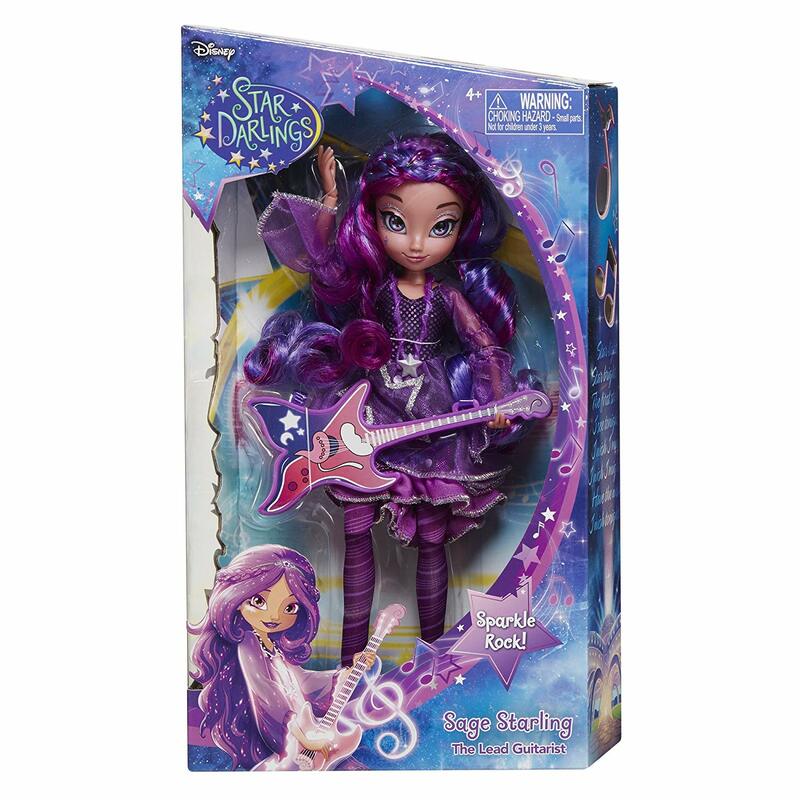 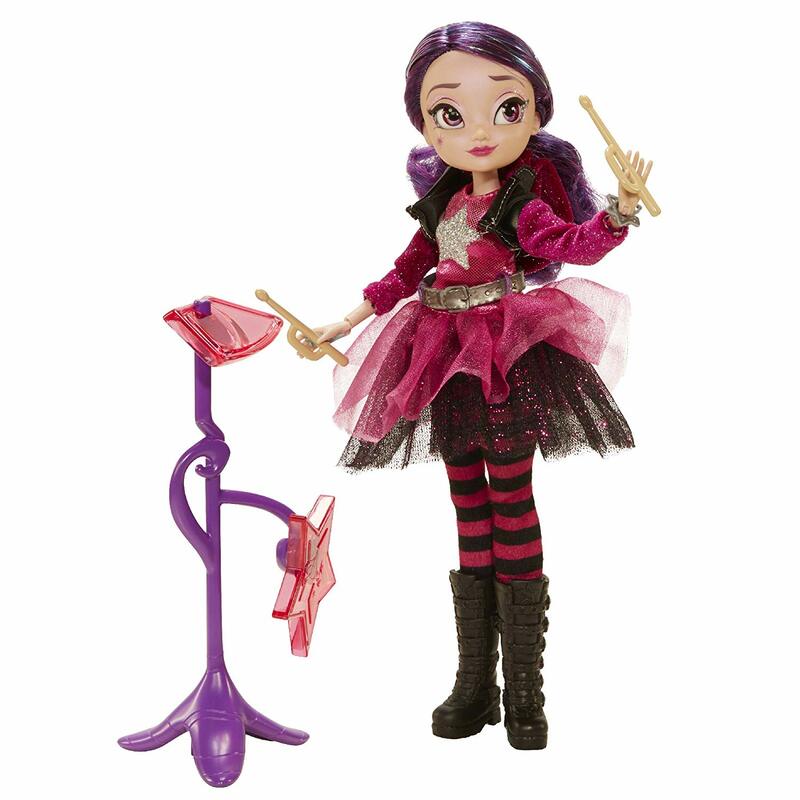 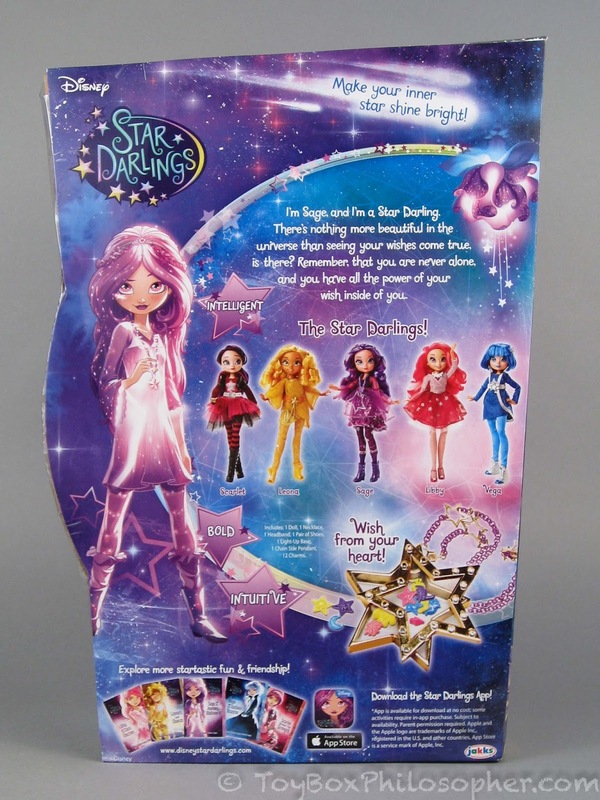 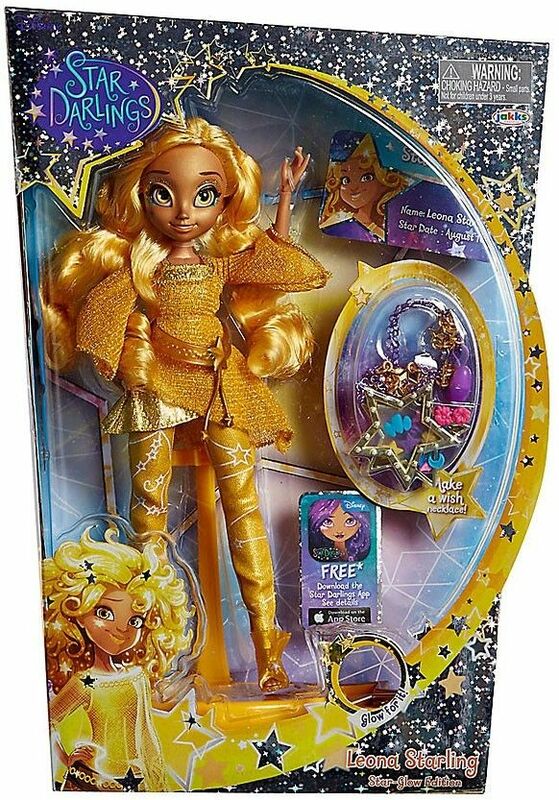 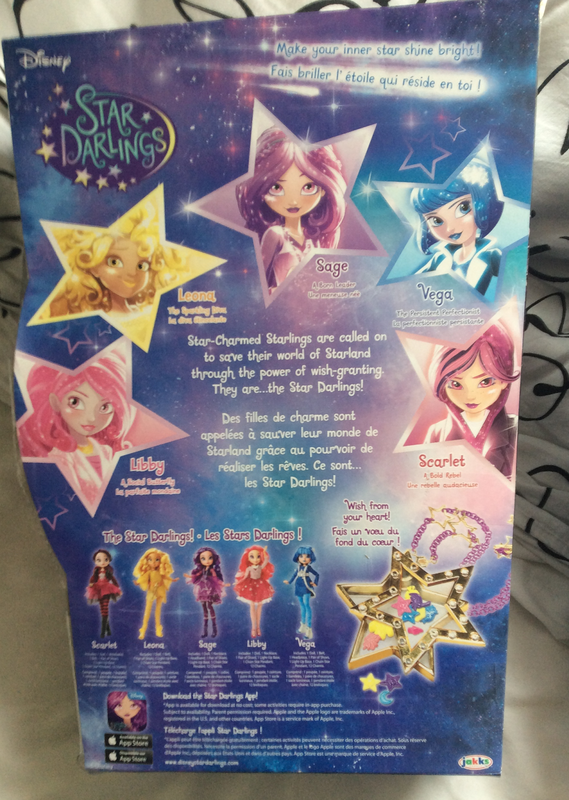 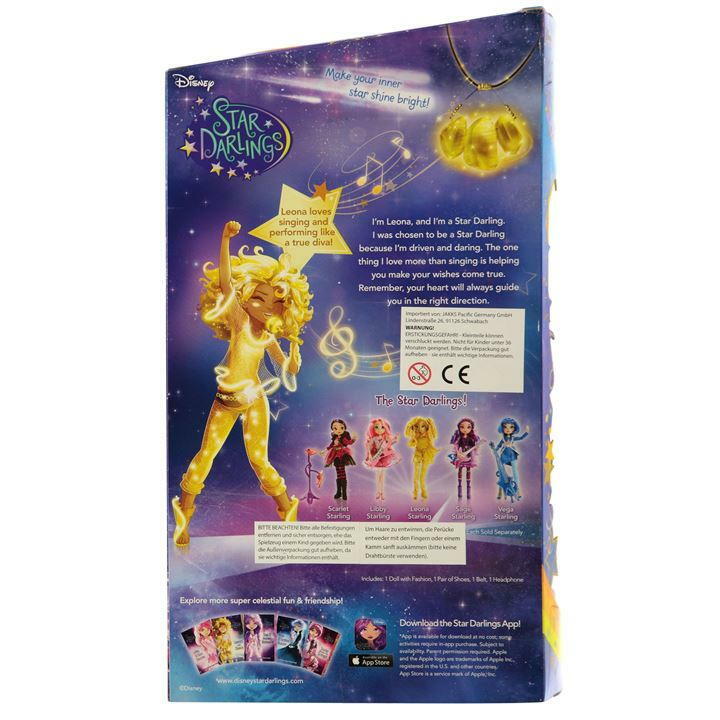 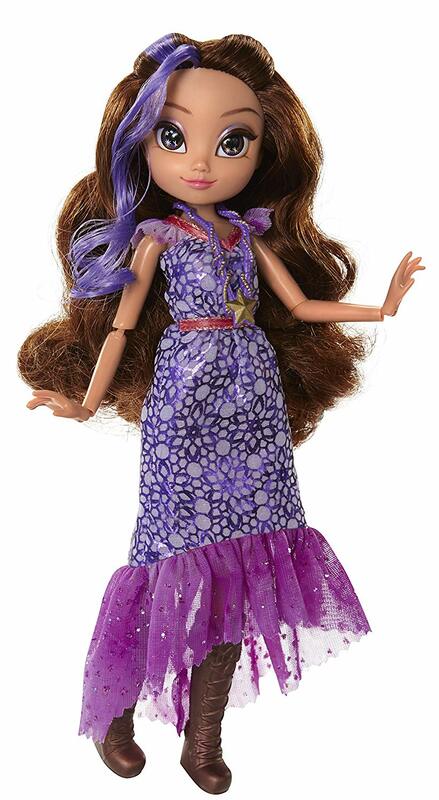 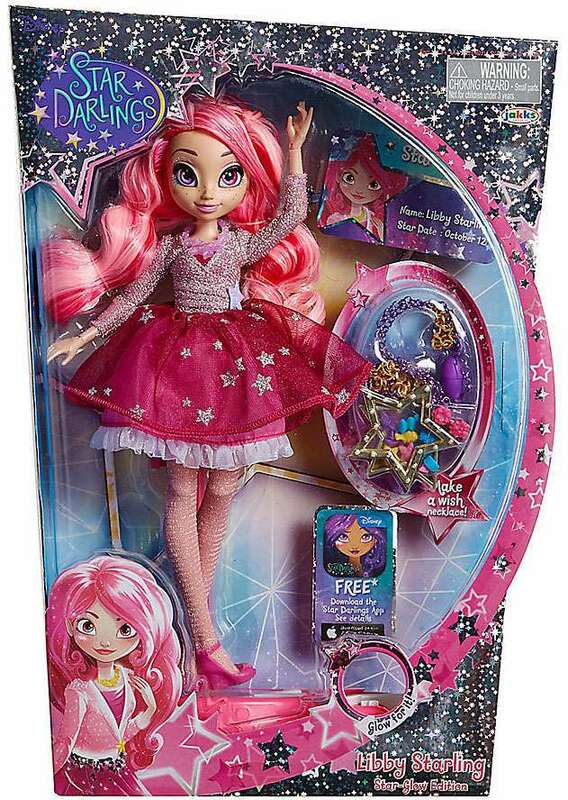 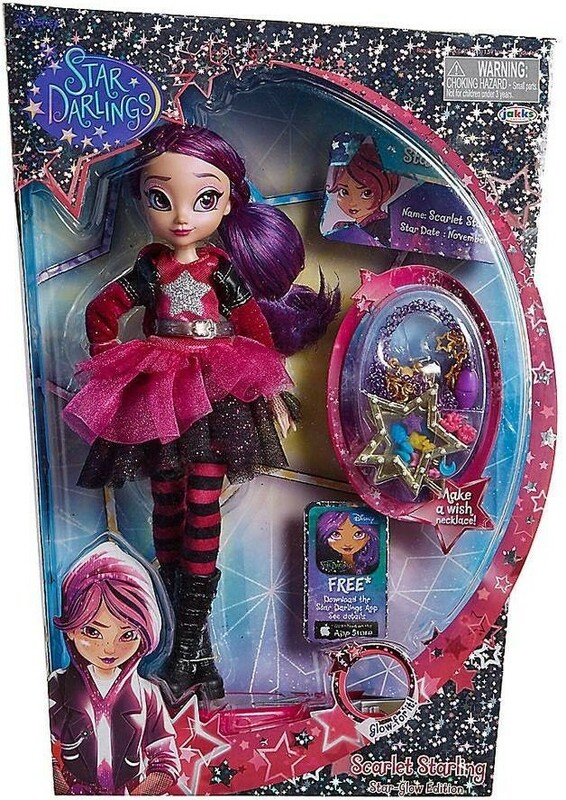 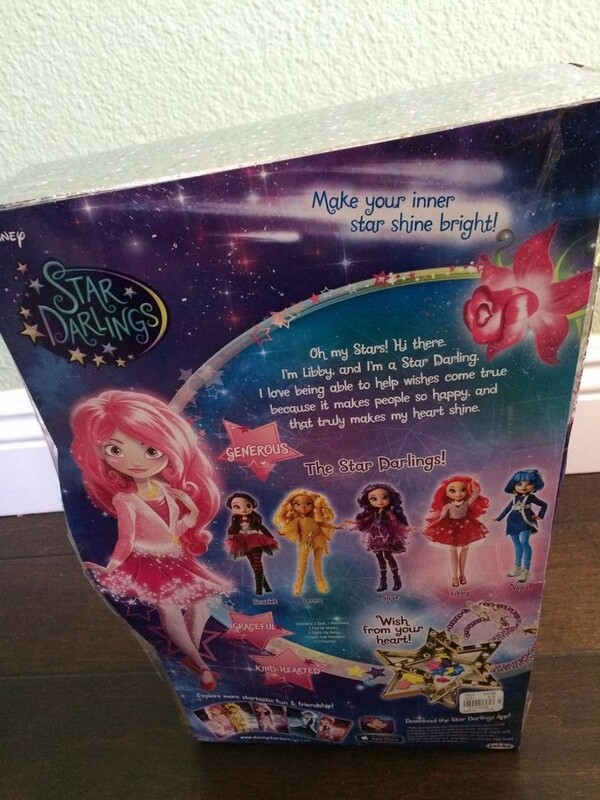 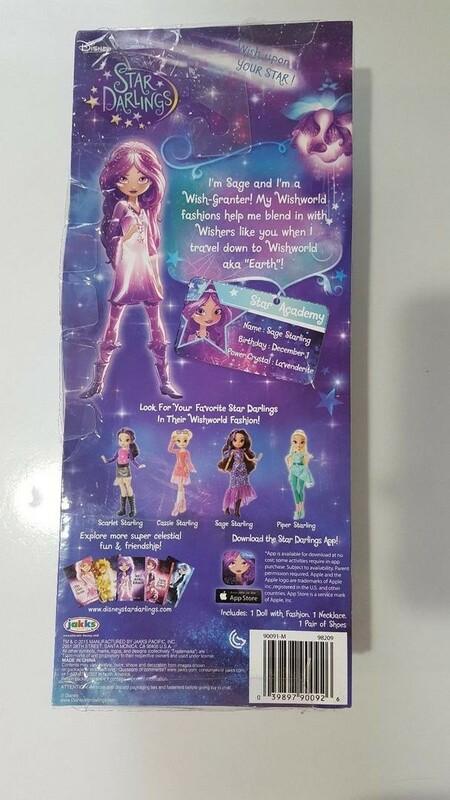 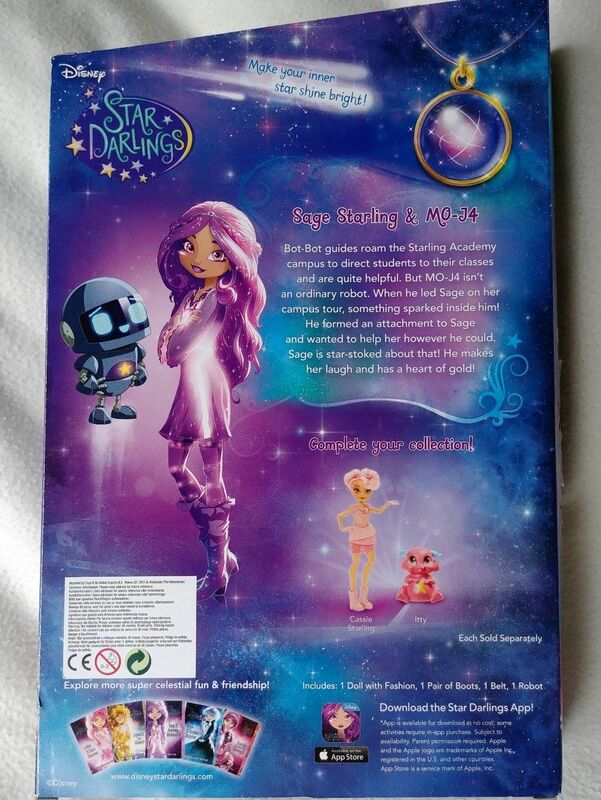 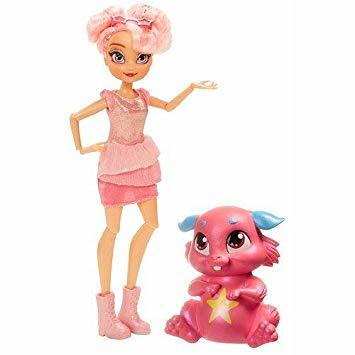 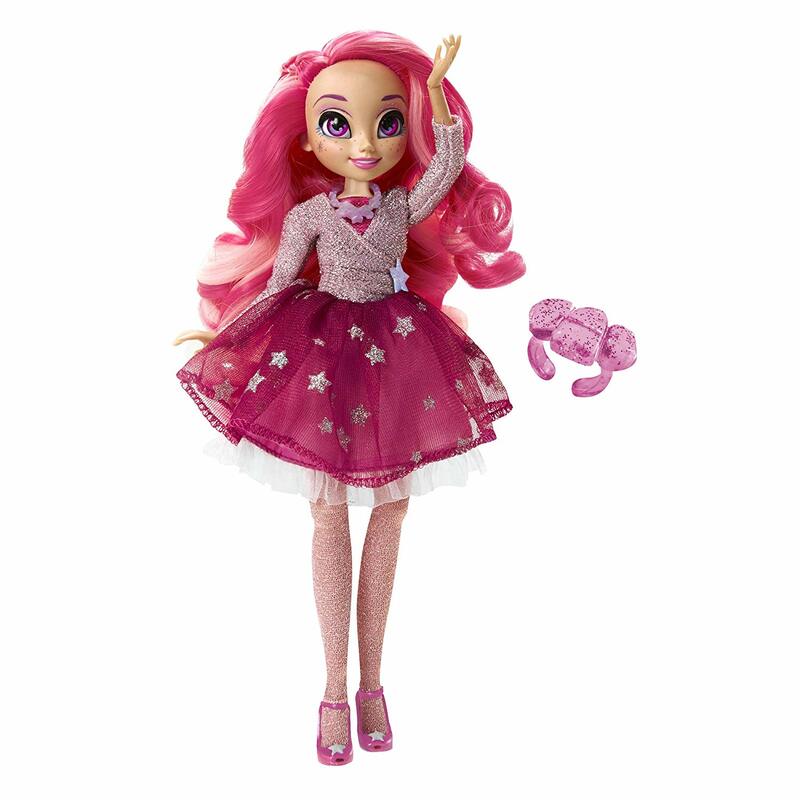 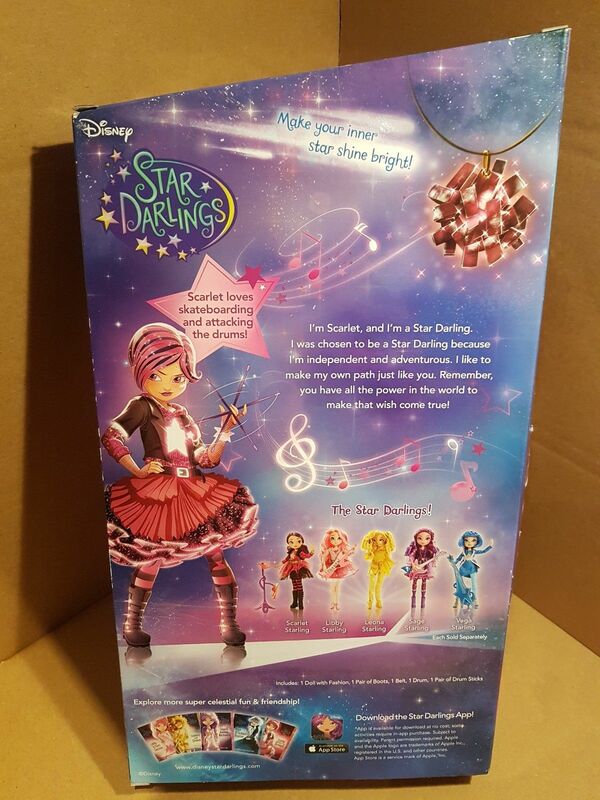 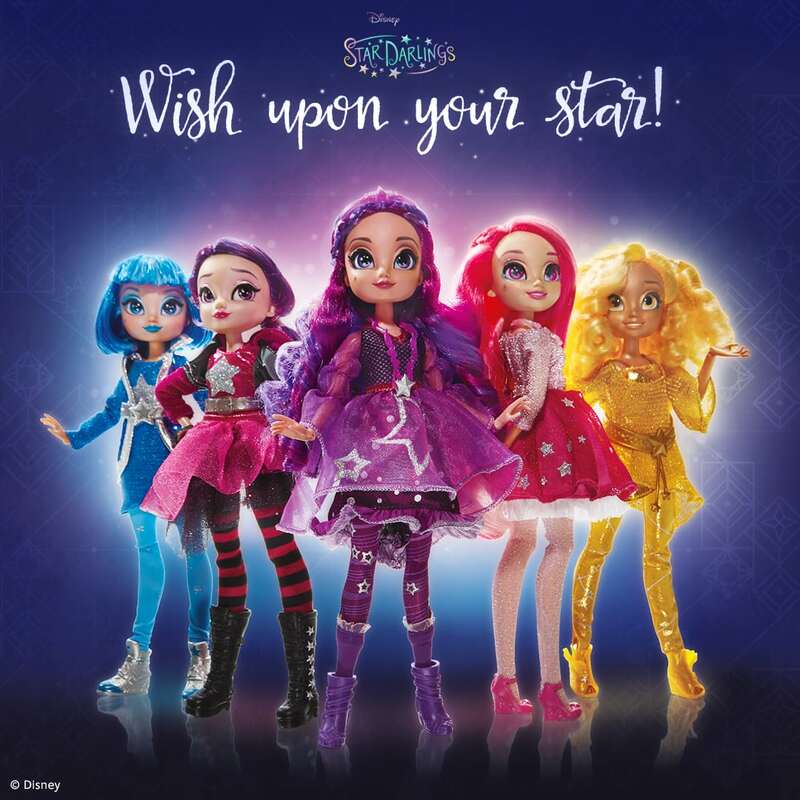 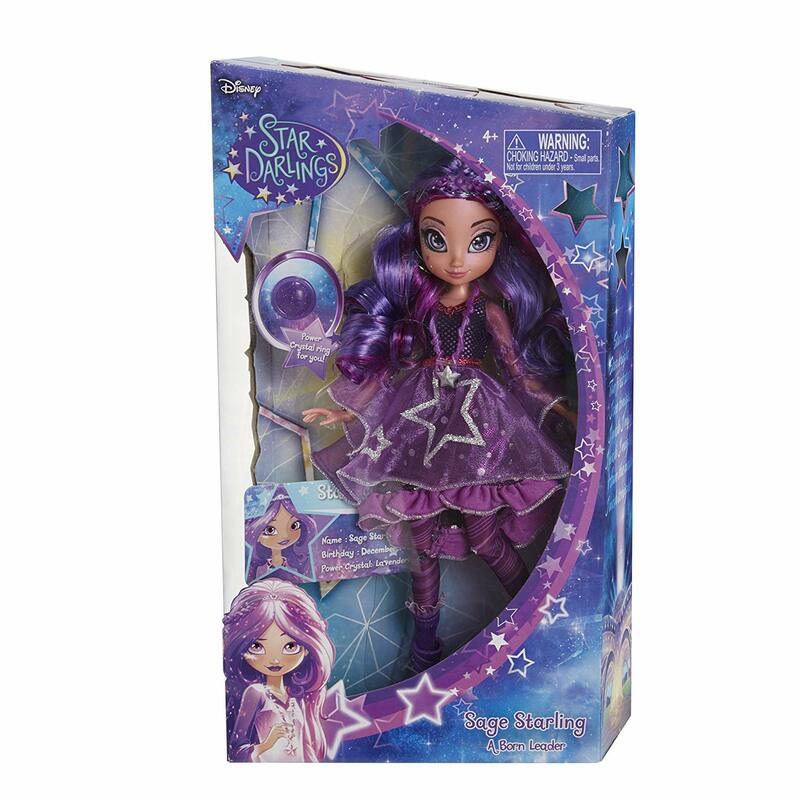 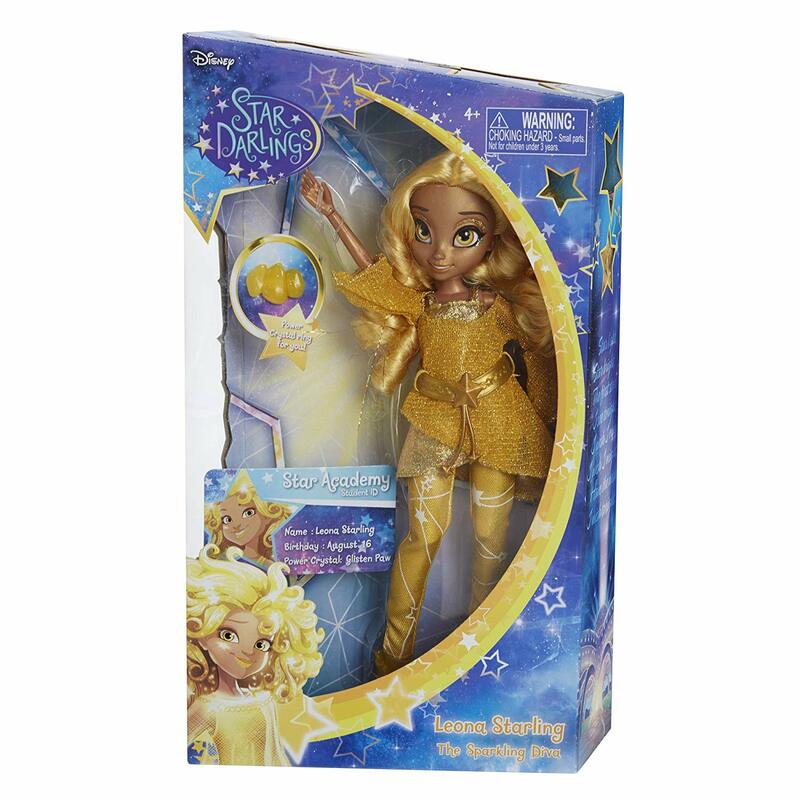 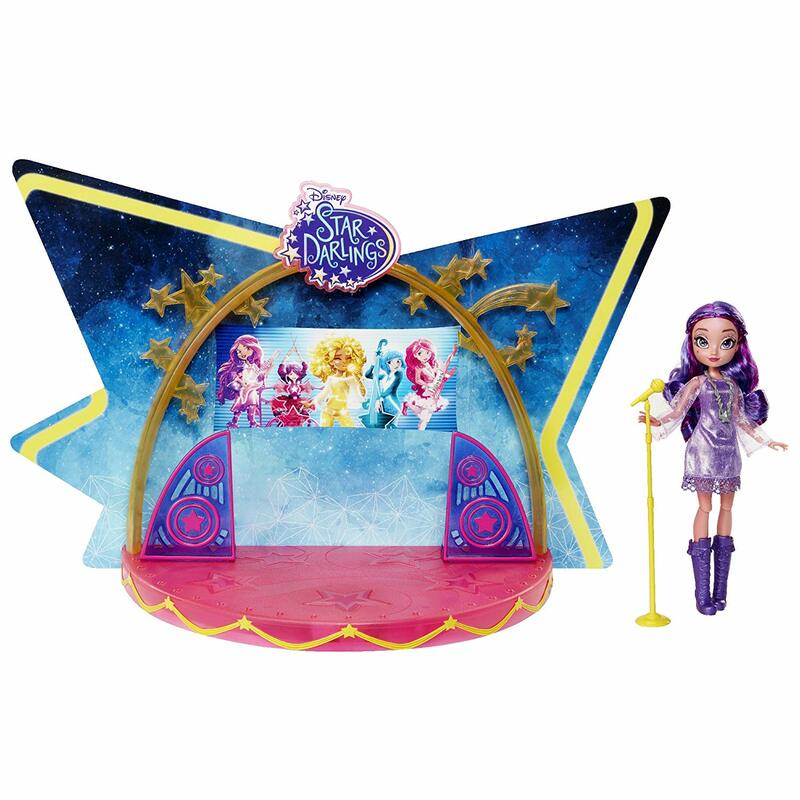 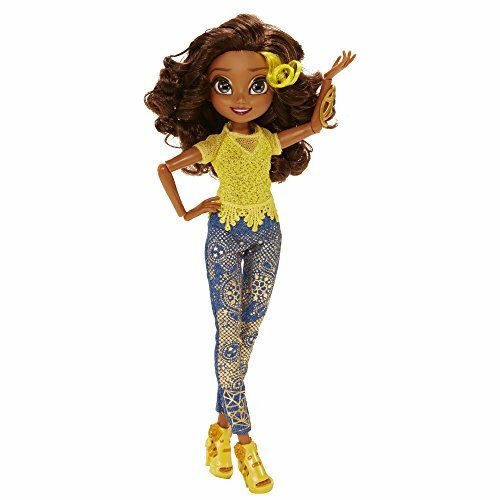 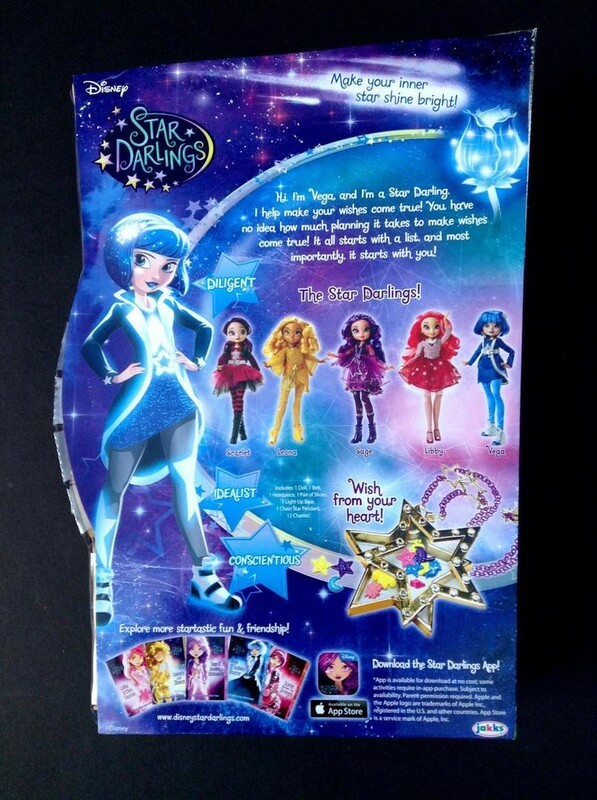 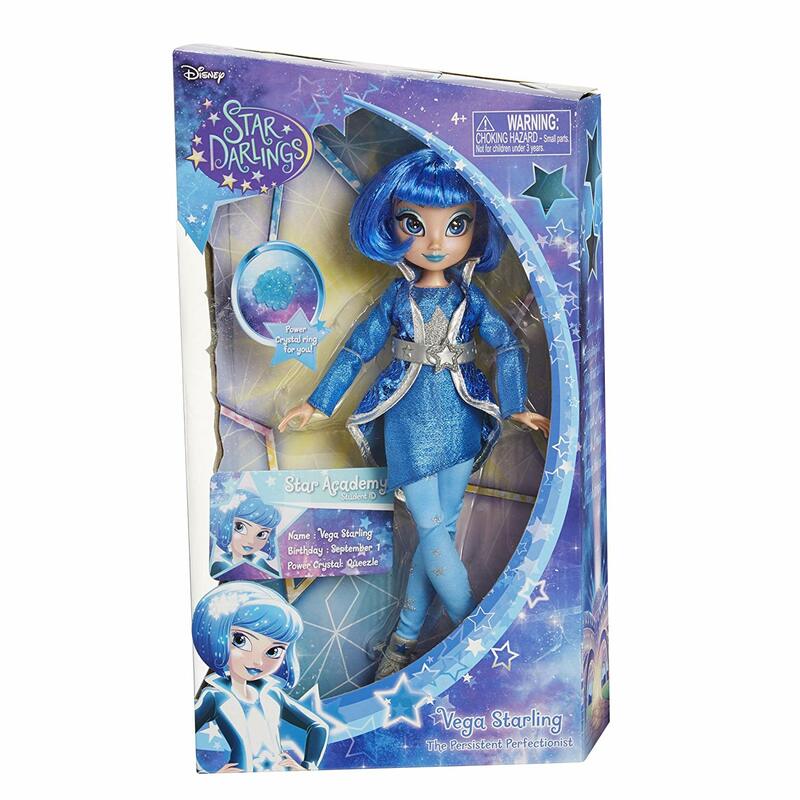 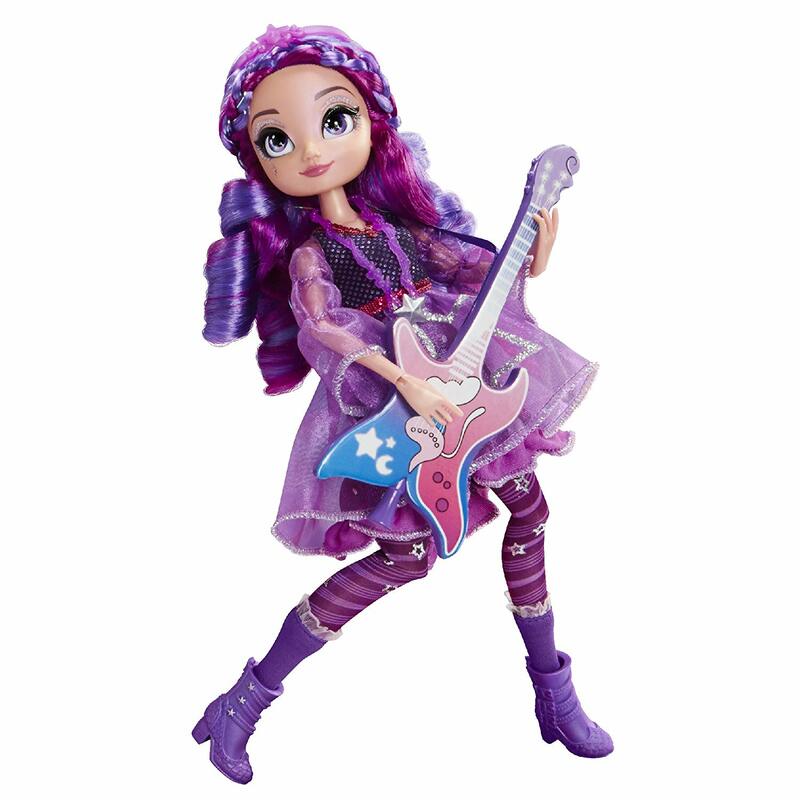 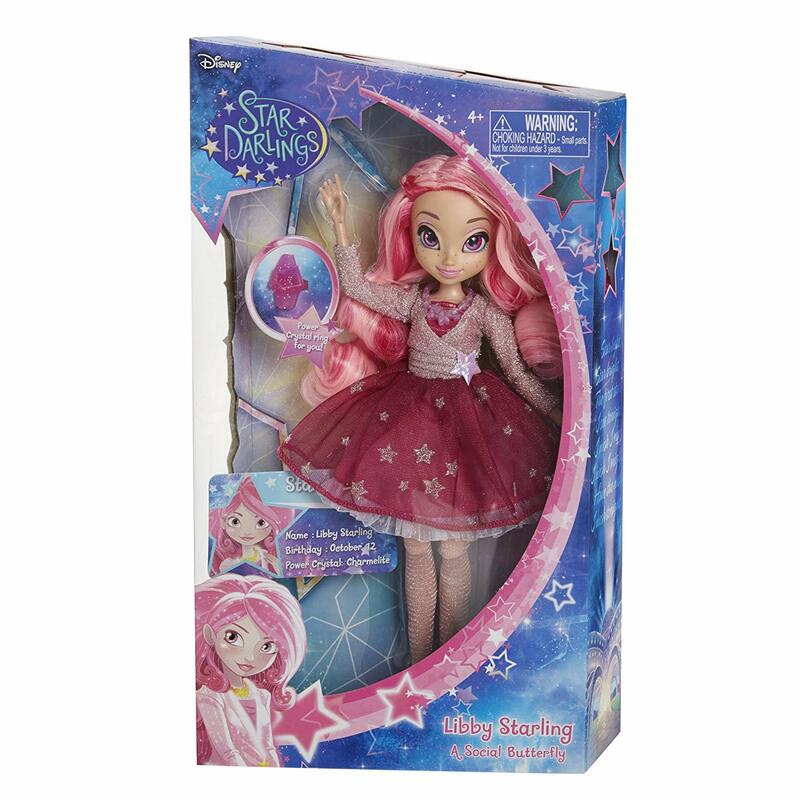 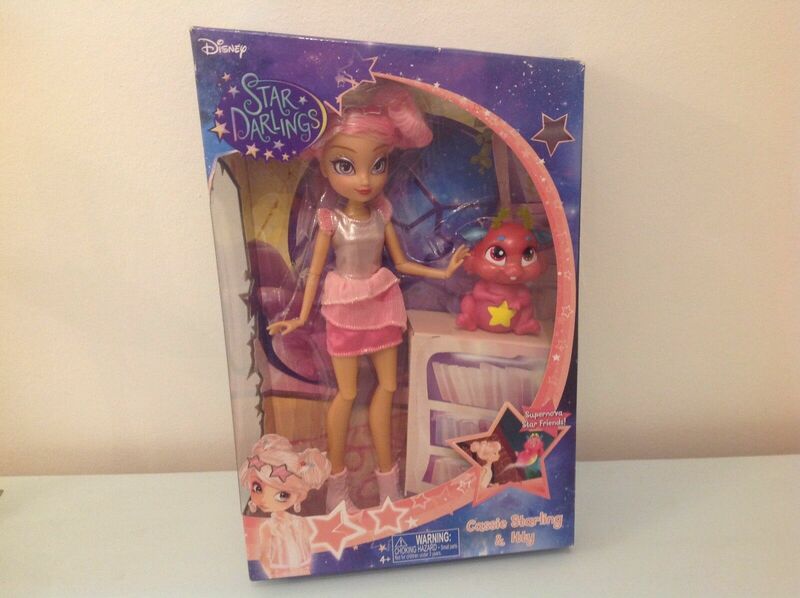 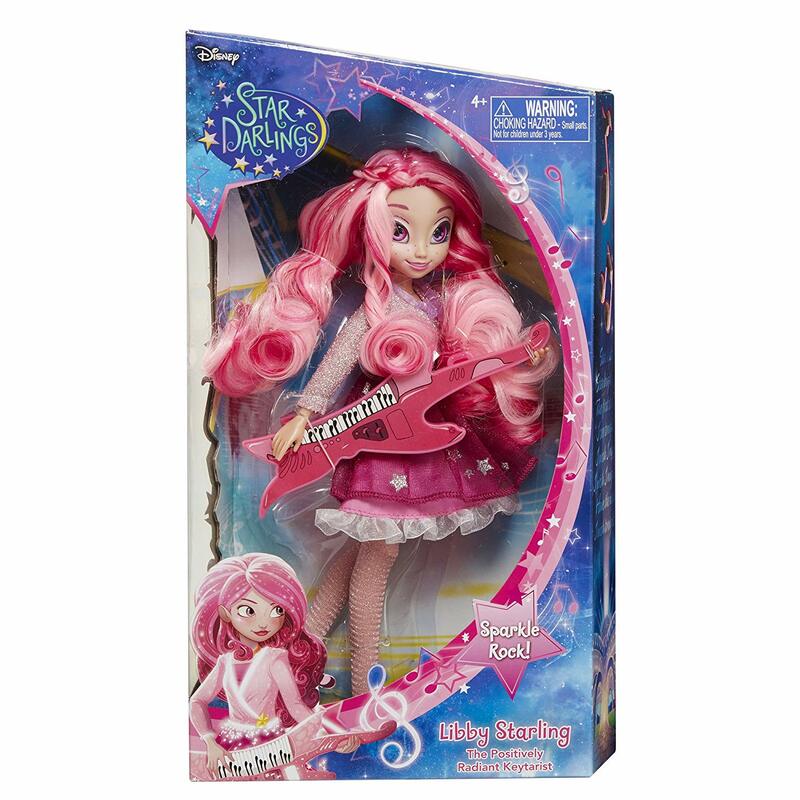 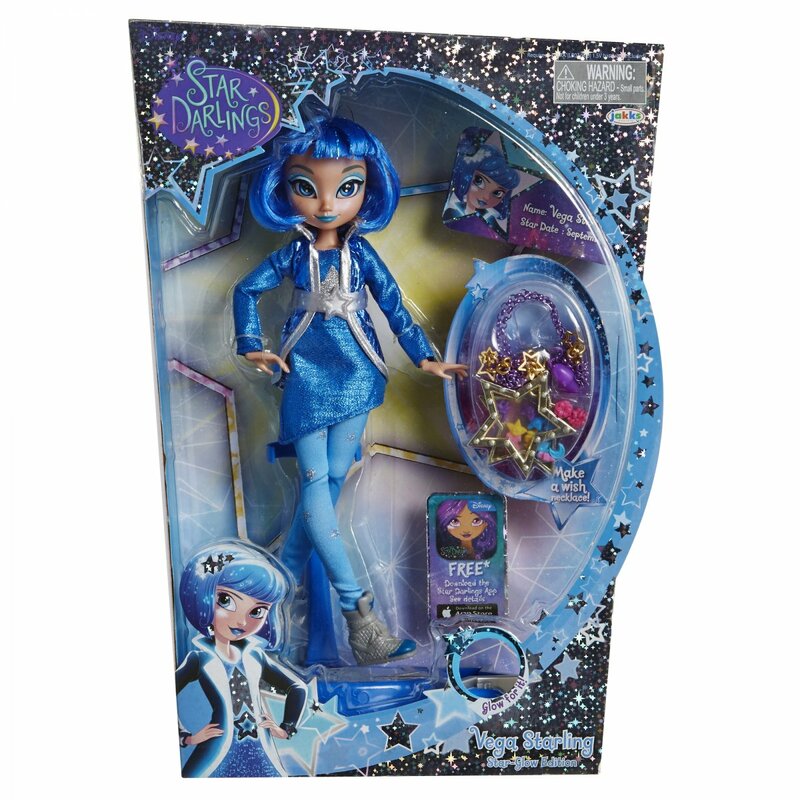 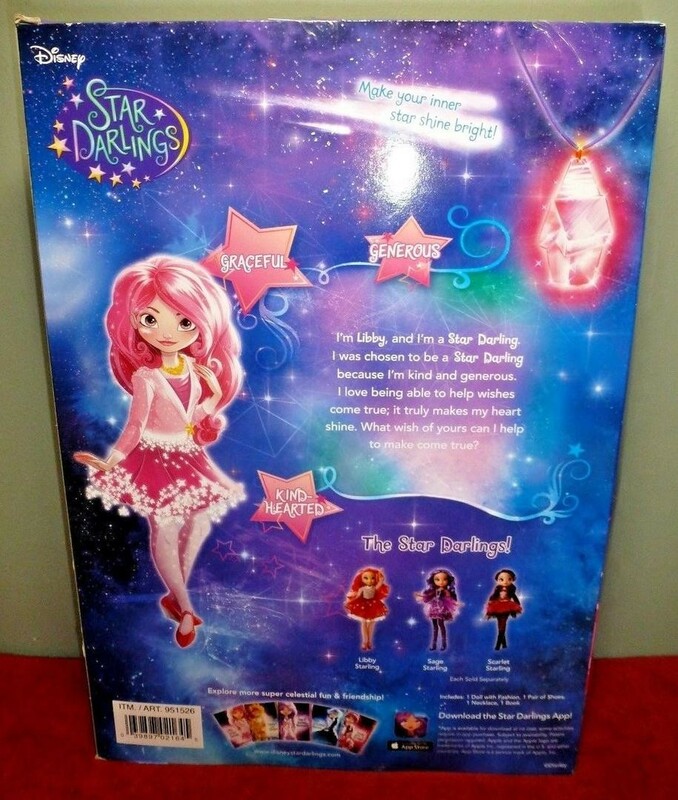 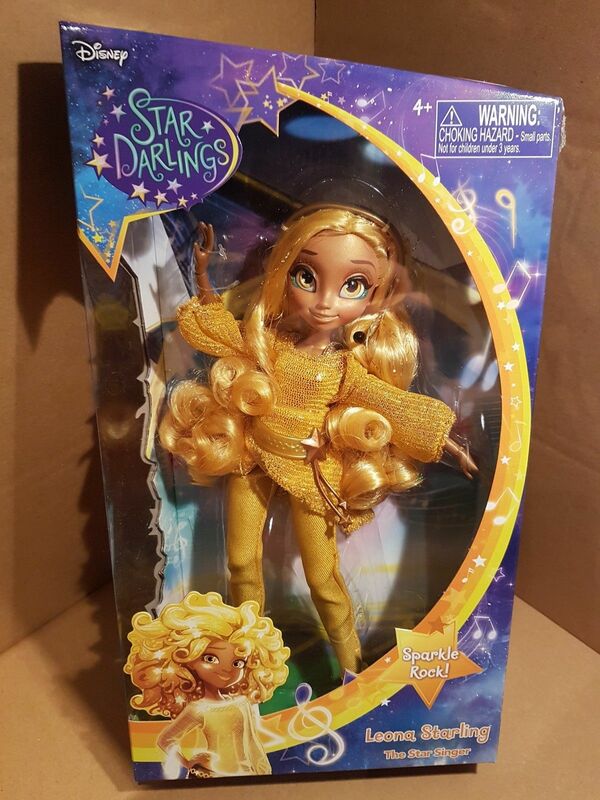 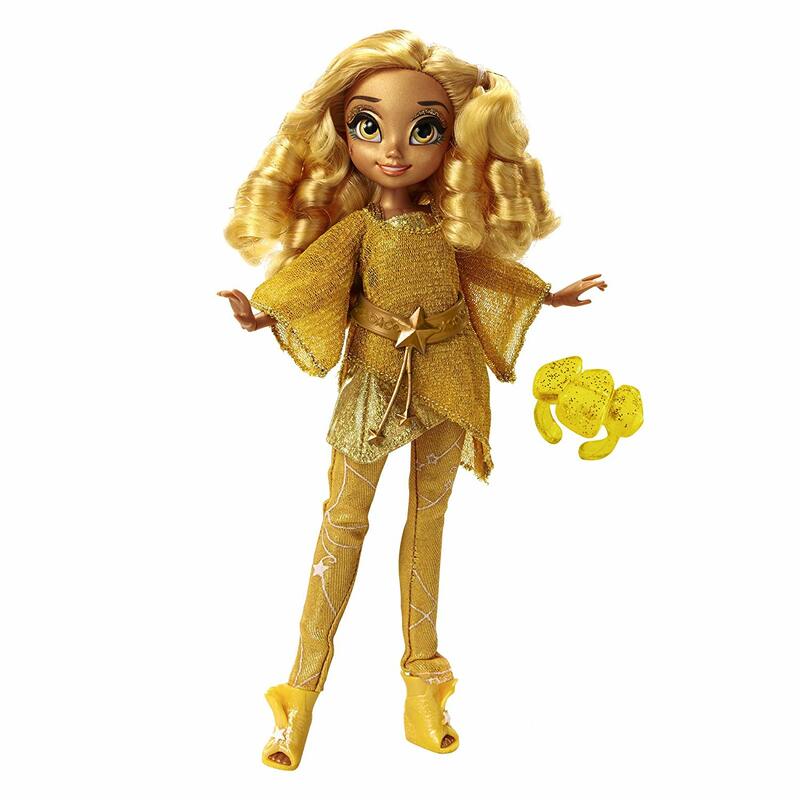 Based on Disney's Star Darlings books and cartoons, Jakks Pacific launched these tie-in dolls in November 2015. 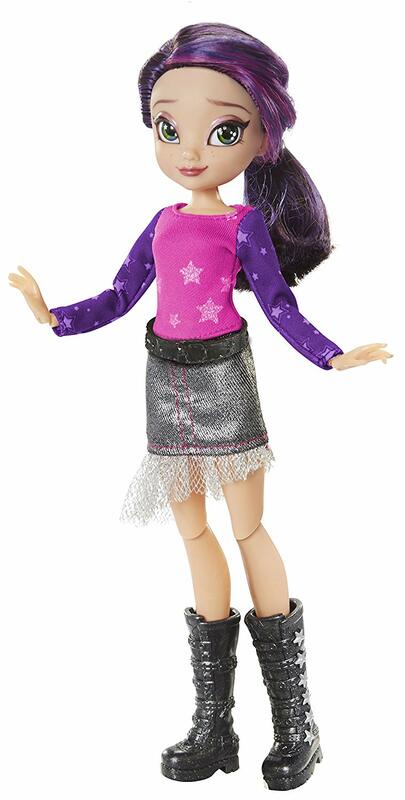 They stood around 11 inches high, had rooted hair and inset eyes, and were fully articulated bar the ankles. 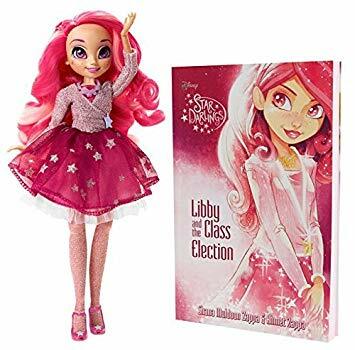 Unfortunately the line suffered from oversaturation, with release after release following quick on the heels of each other but with very little to distinguish them. 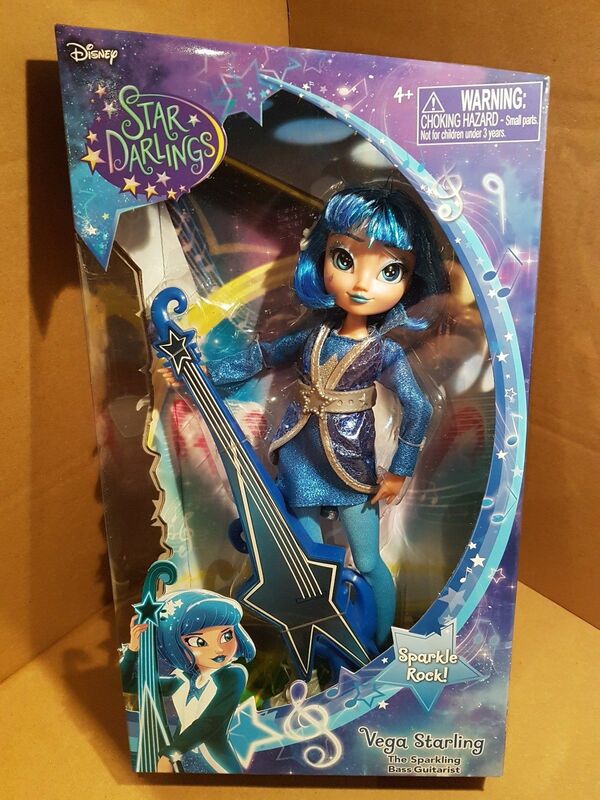 Poor sales lead to the line being discontinued in 2017. 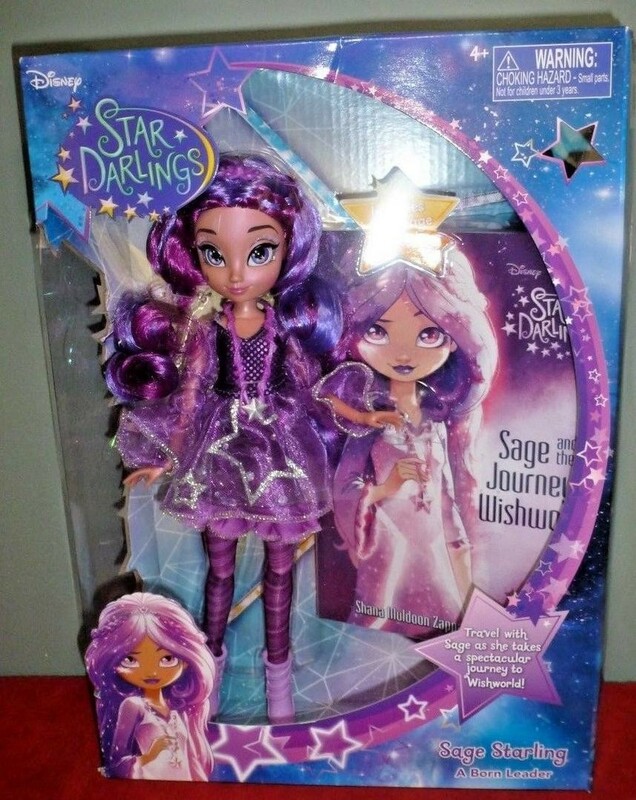 ★ Sage. 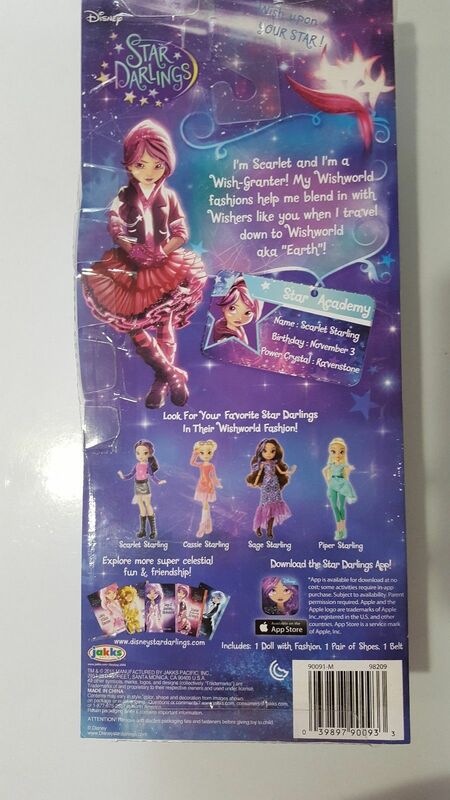 (Box Front / Back) - see review at ToyBoxPhilosopher. 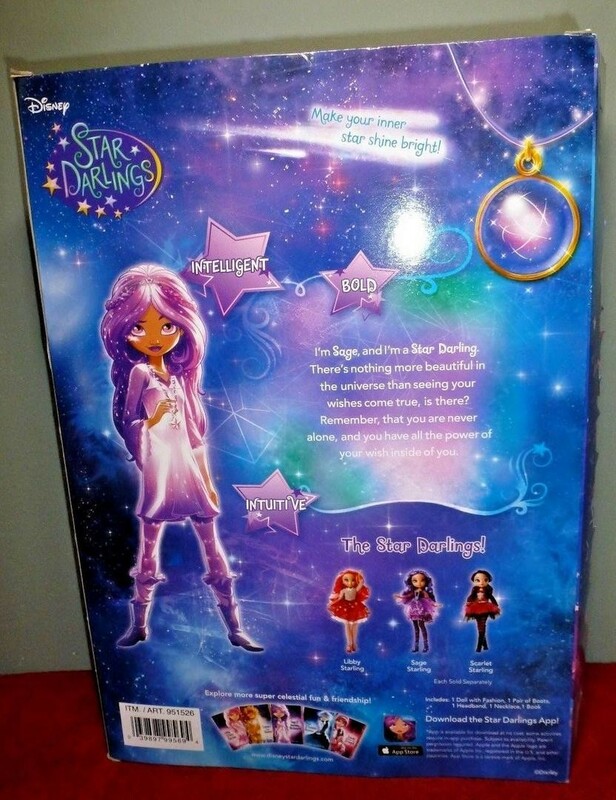 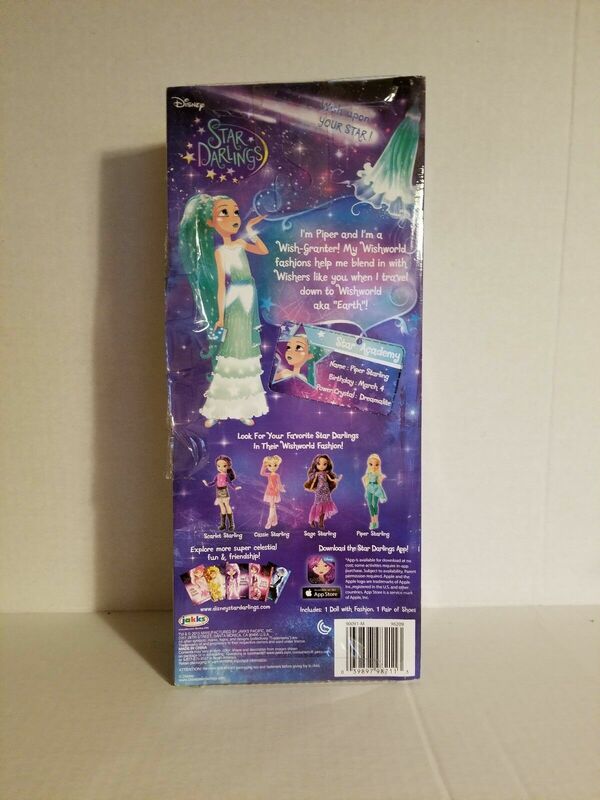 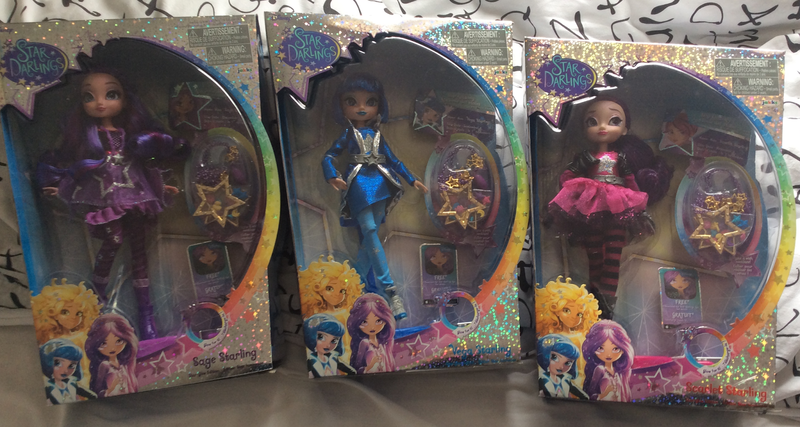 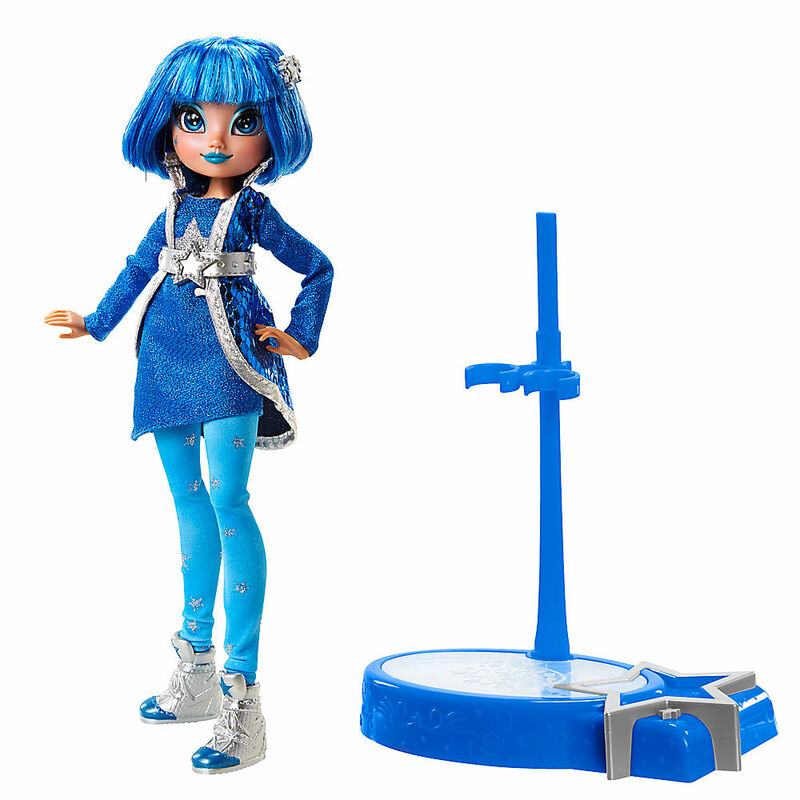 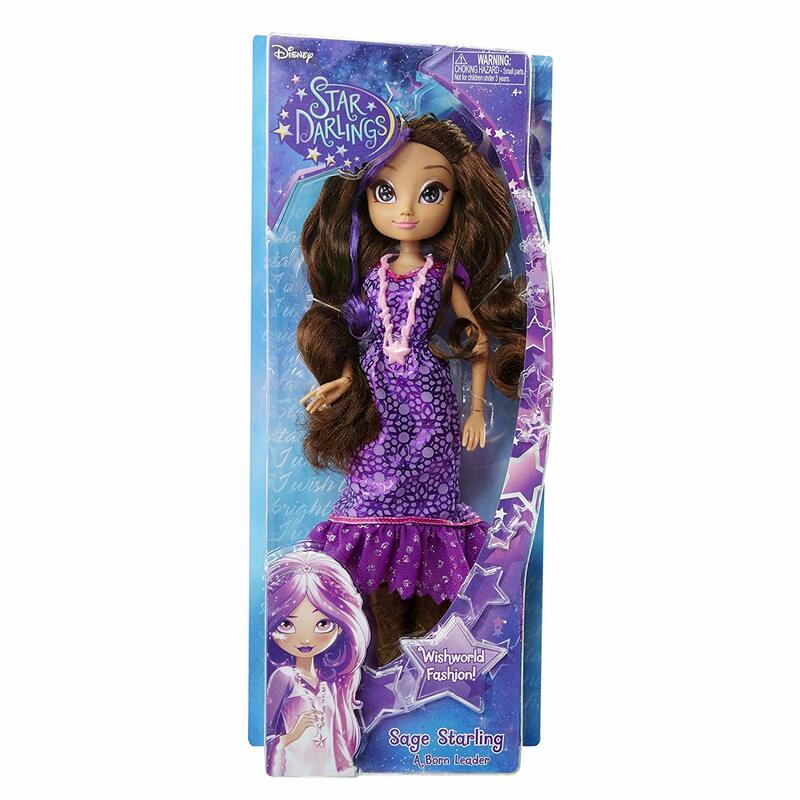 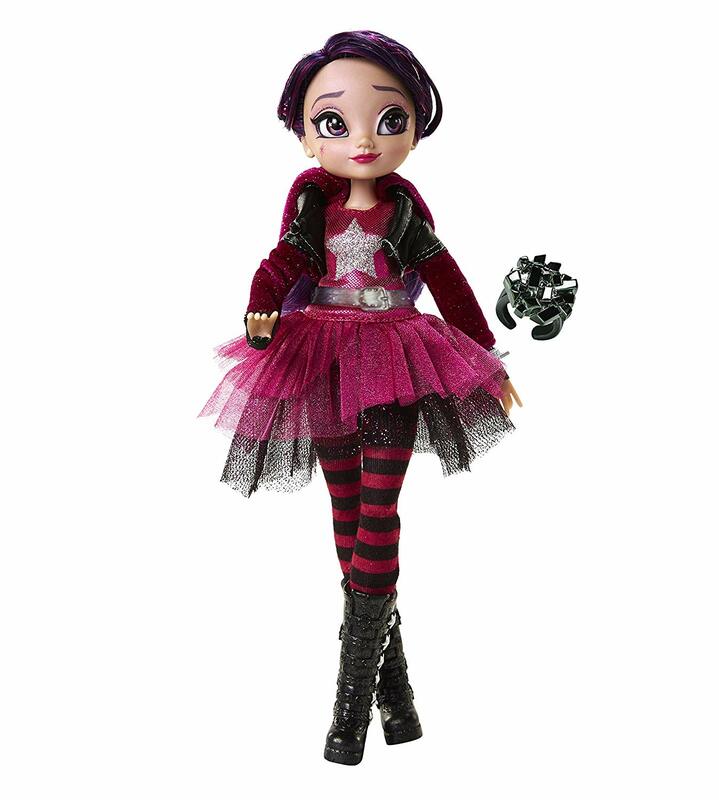 The first wave of dolls came in a holographic box, complete with a light up stand and pieces to make a wish necklace. 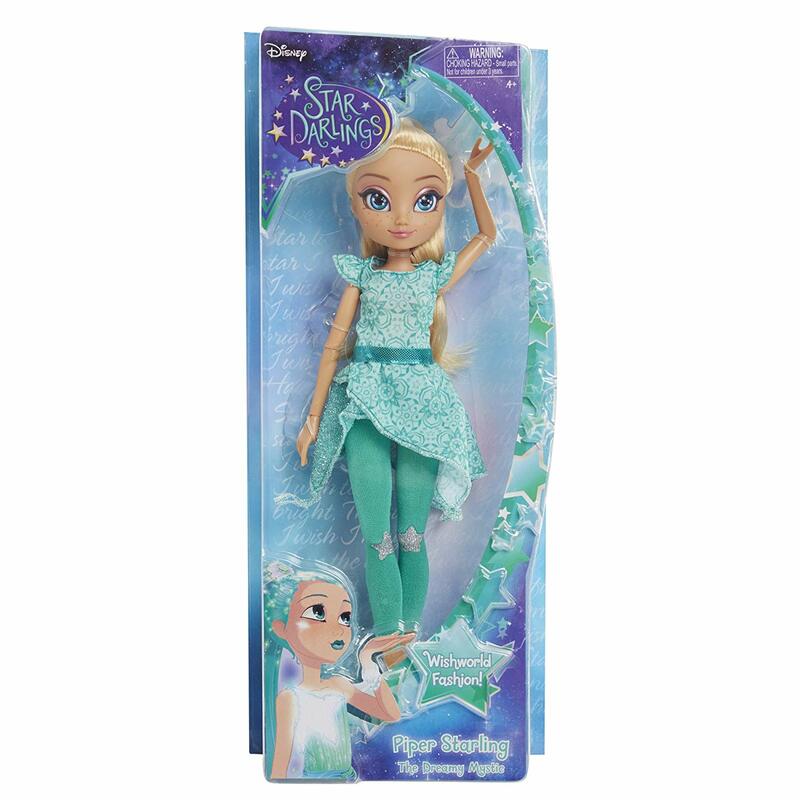 Initially available through the Disney Store, they retailed for $30 each. 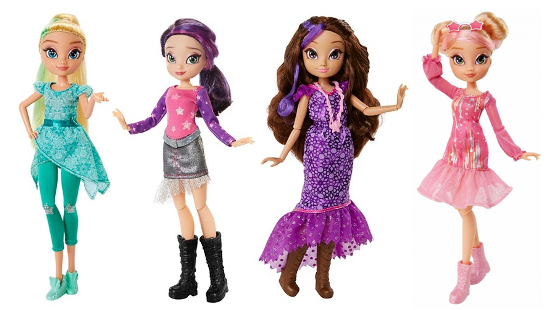 In the UK they first hit stores in Spring 2016, priced at £20.95 each. 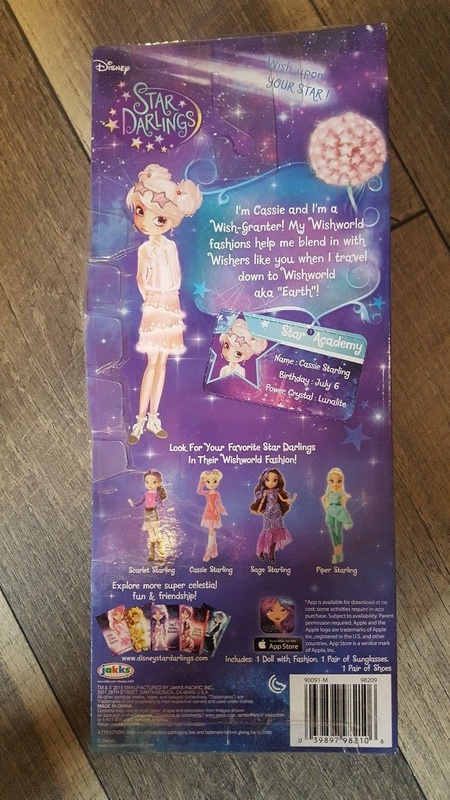 They were packaged in the international variant packaging which used name stickers to differentiate the dolls, rather than printed pictures. 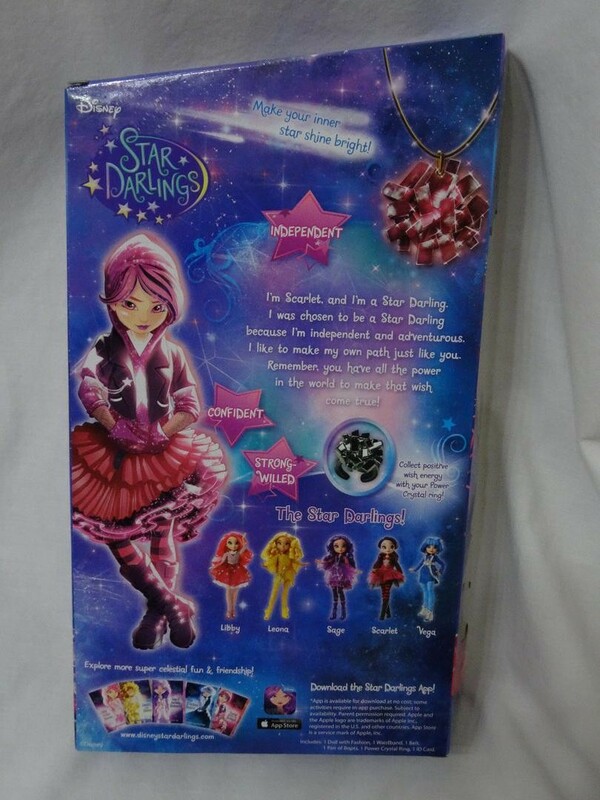 This second wave dropped the holographic boxes, stands, and necklaces; instead they came with a ring for their new owner to wear. 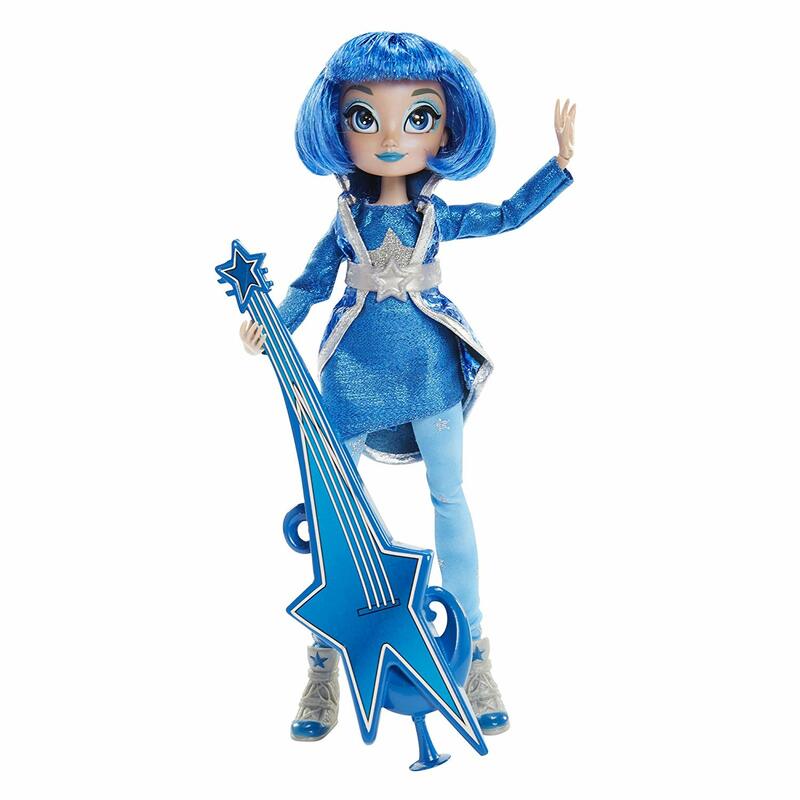 This wave wore the same outfits but came with instruments. 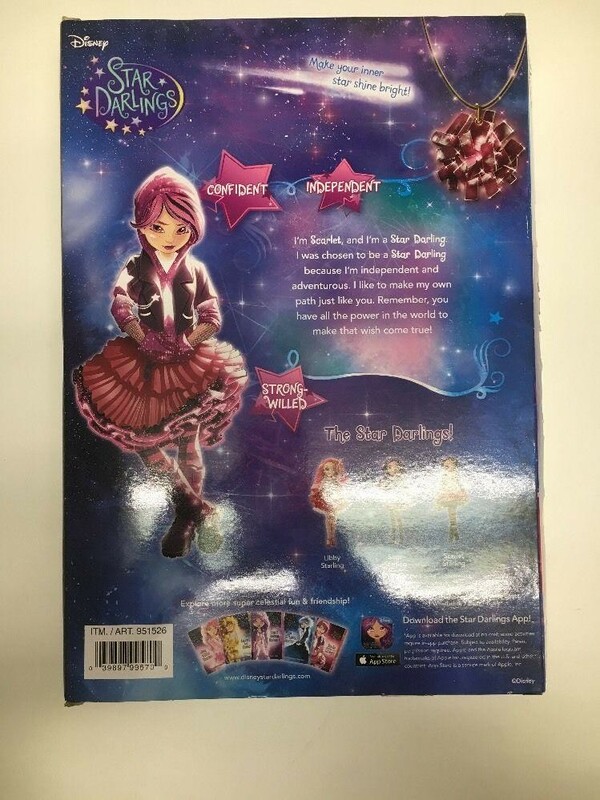 Again, these dolls were still dressed in the same outfits but were packaged with their book. 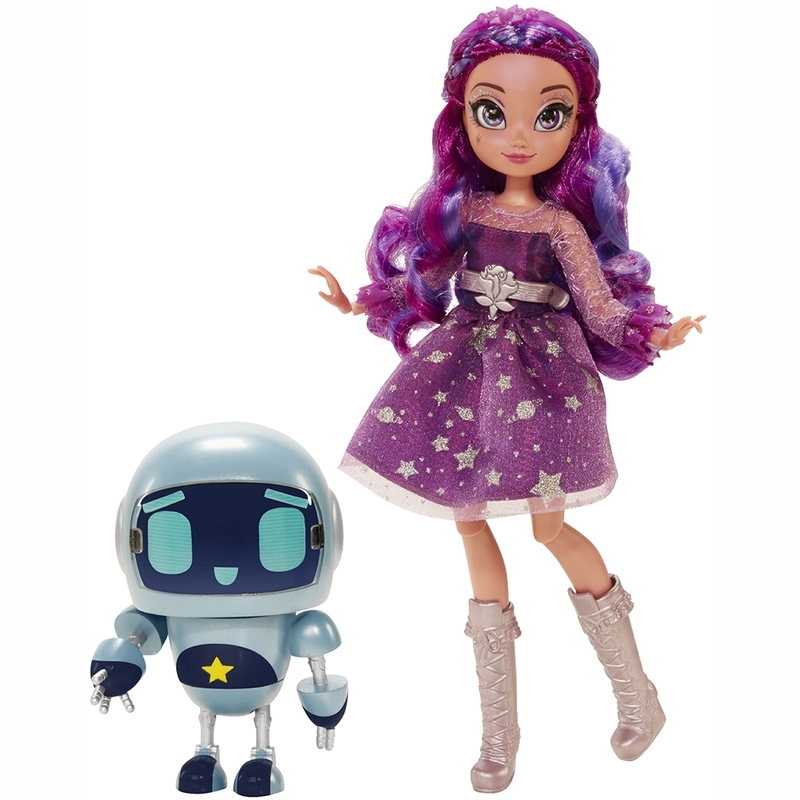 These two were UK Toys R Us exclusives in 2016. 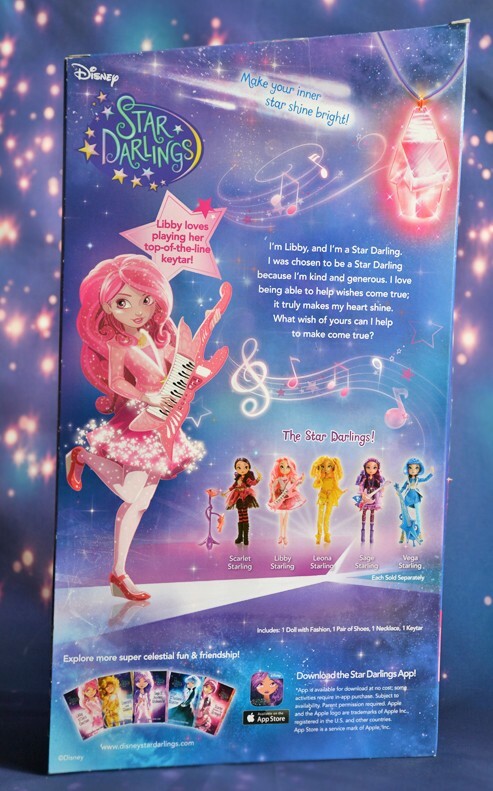 Leona and Libby were also planned for this line, but never made it into production.